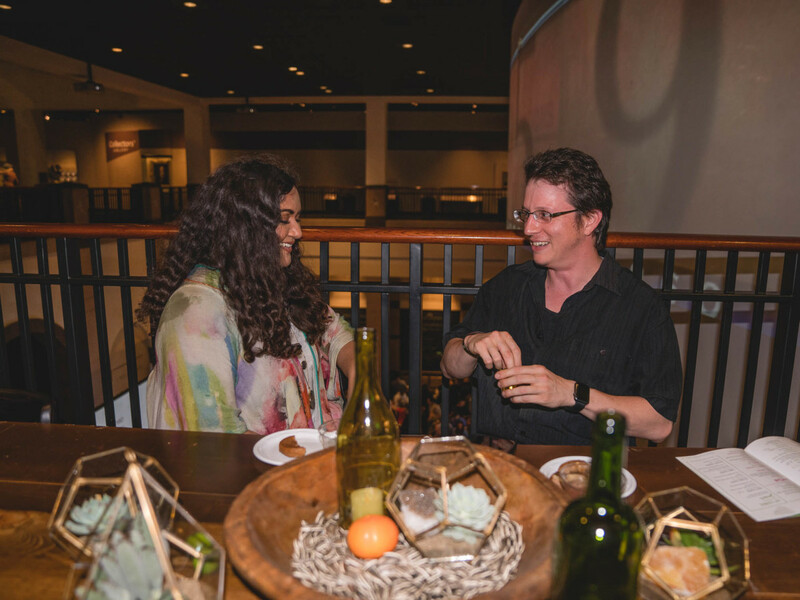 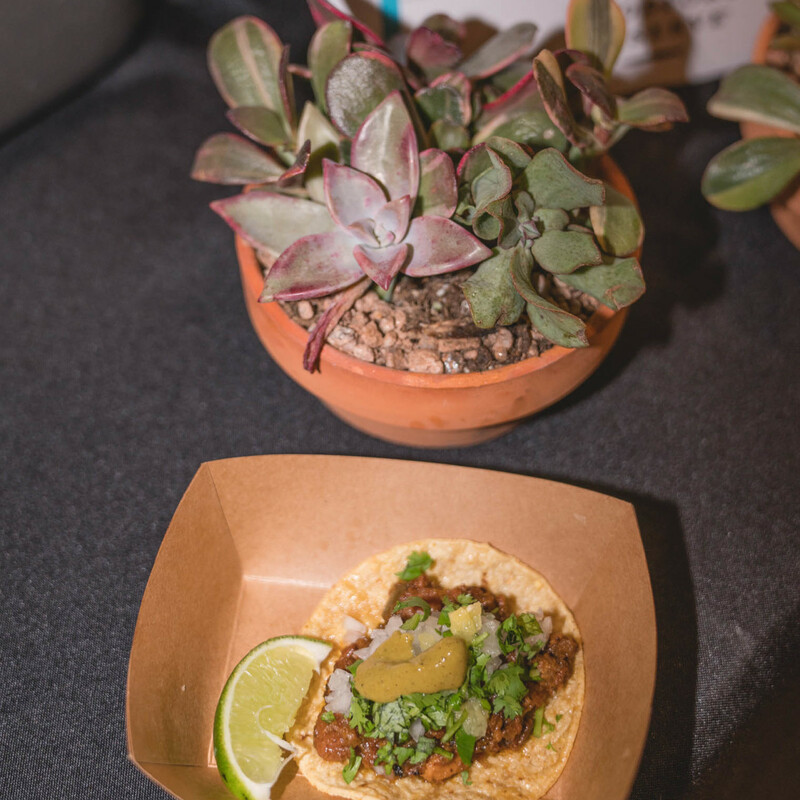 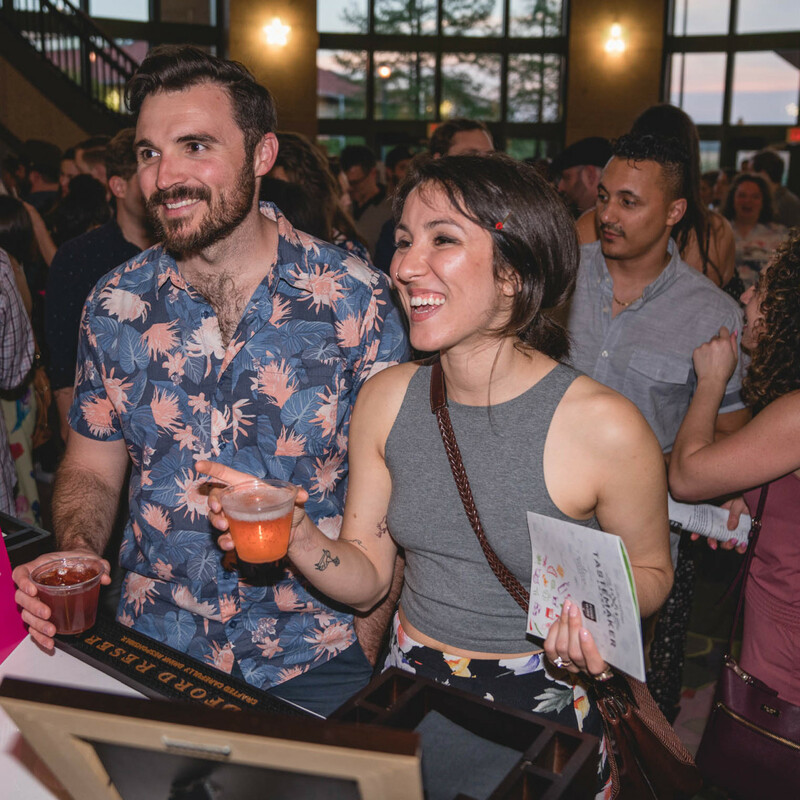 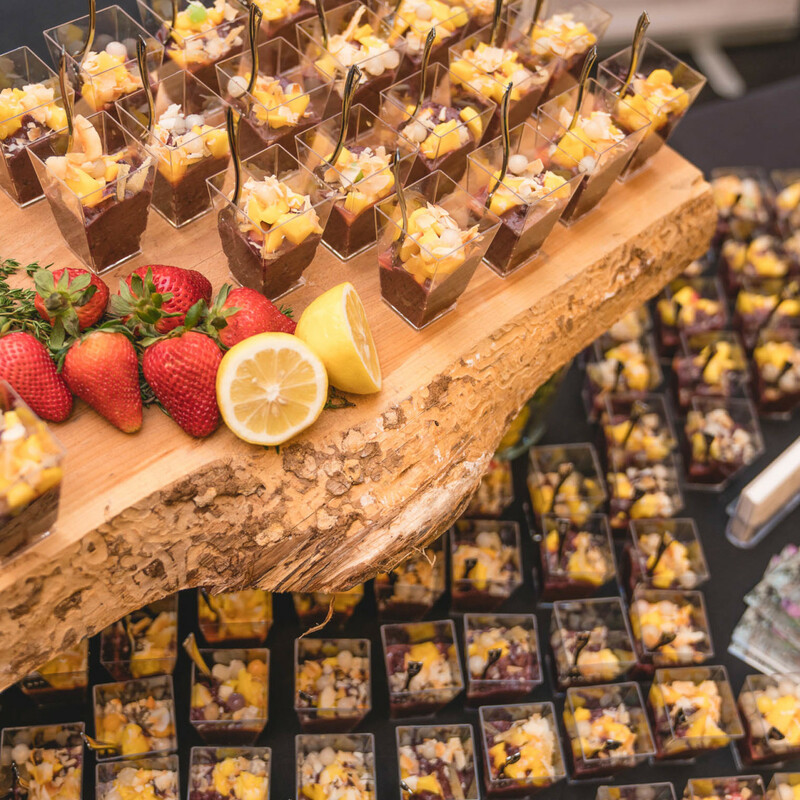 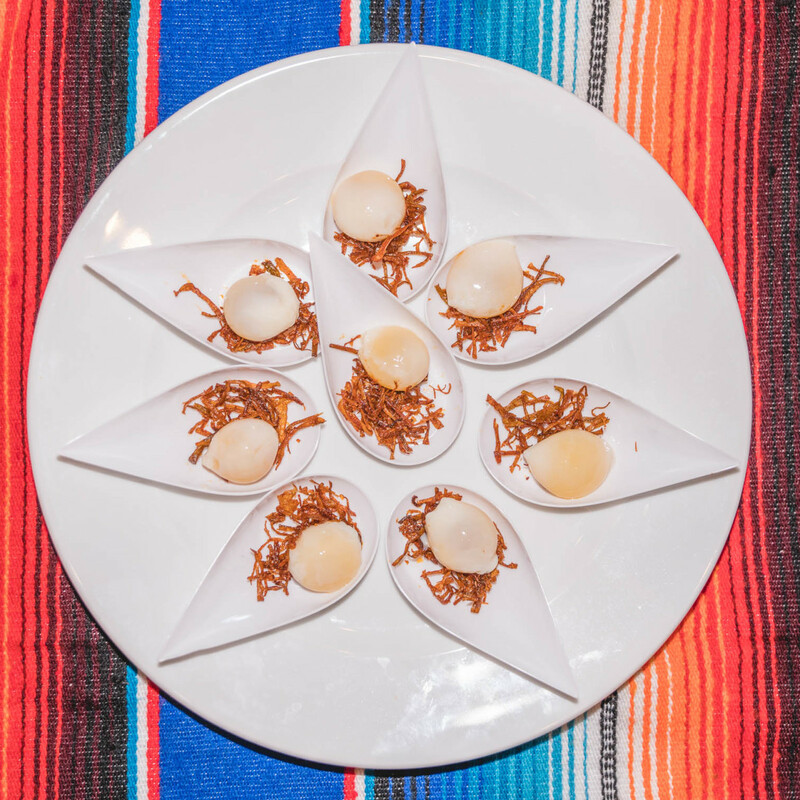 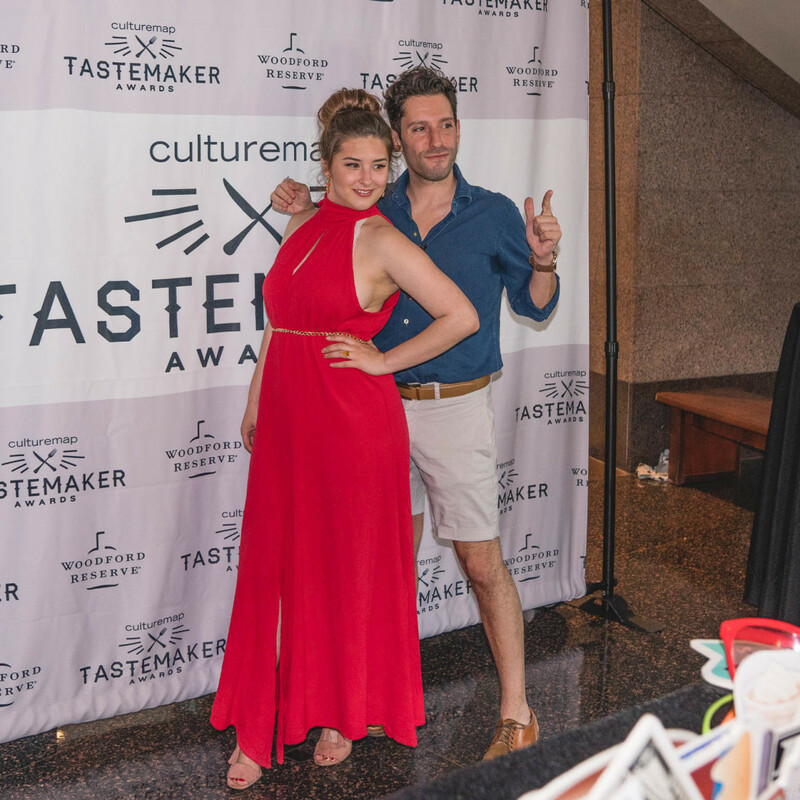 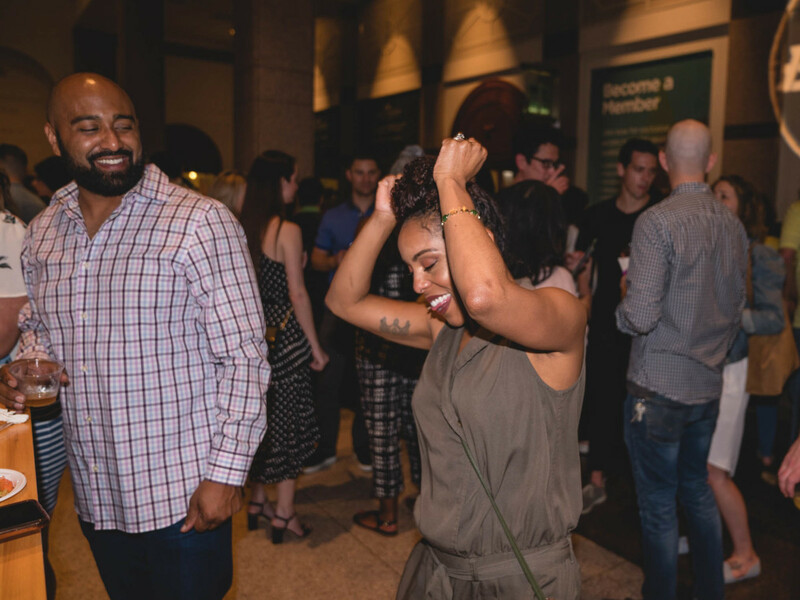 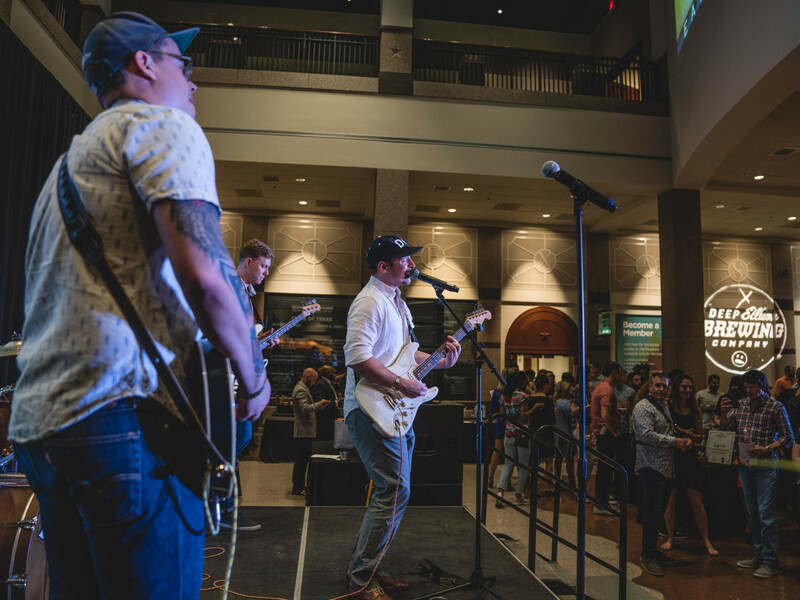 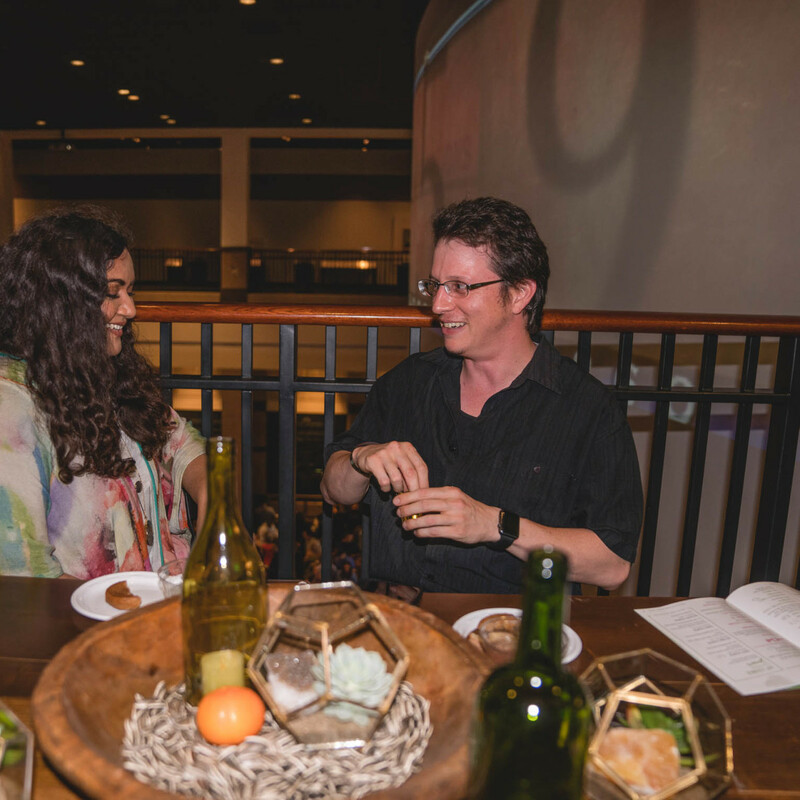 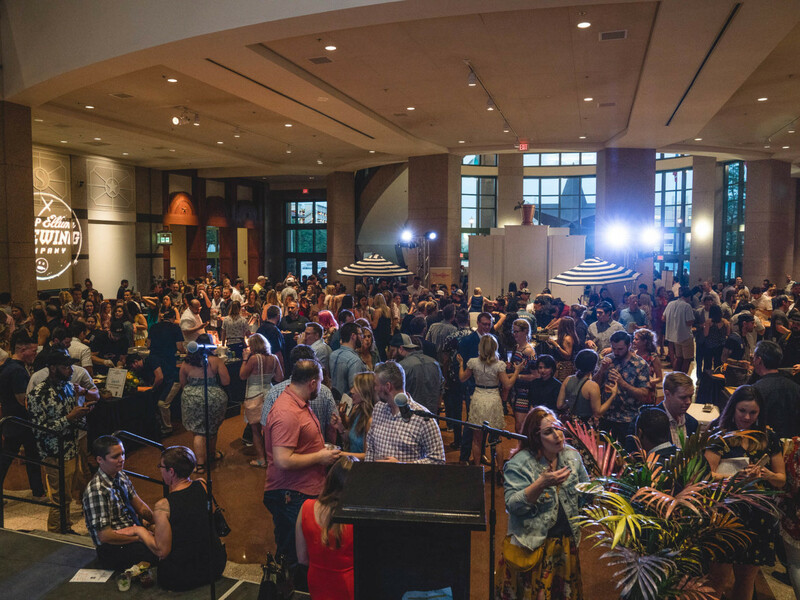 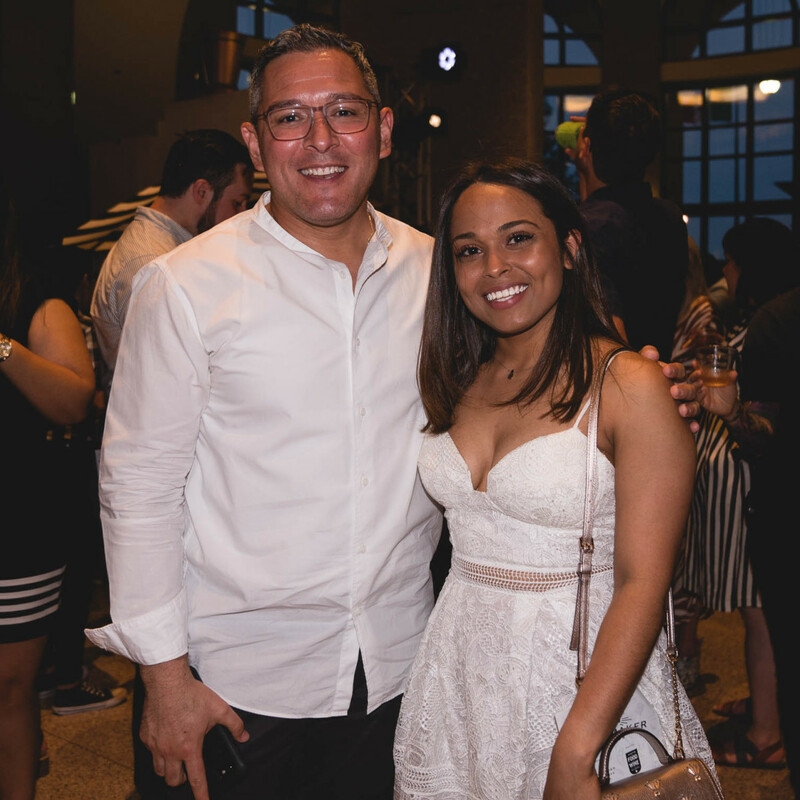 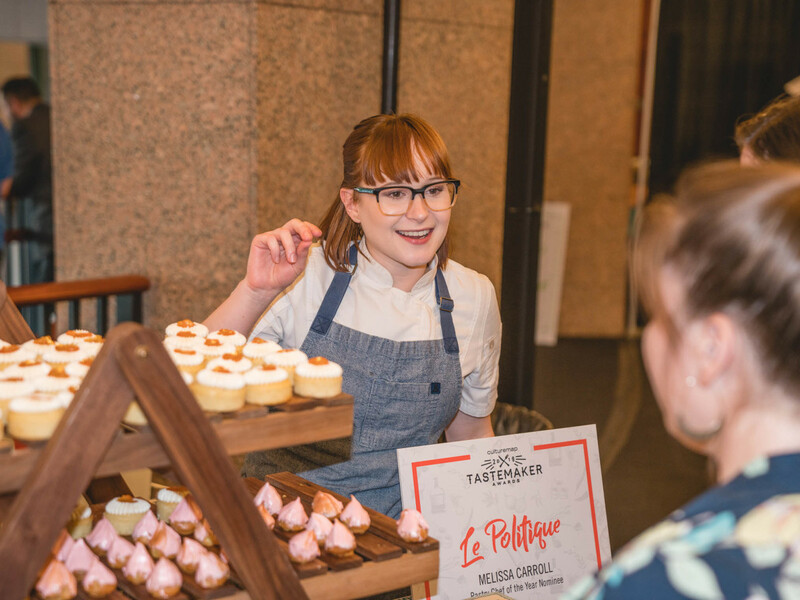 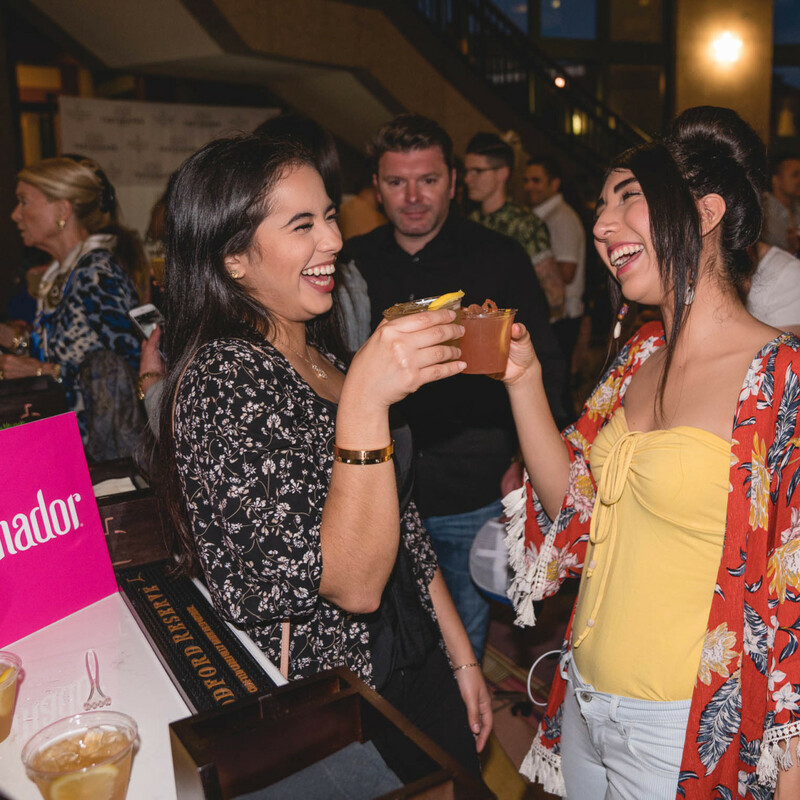 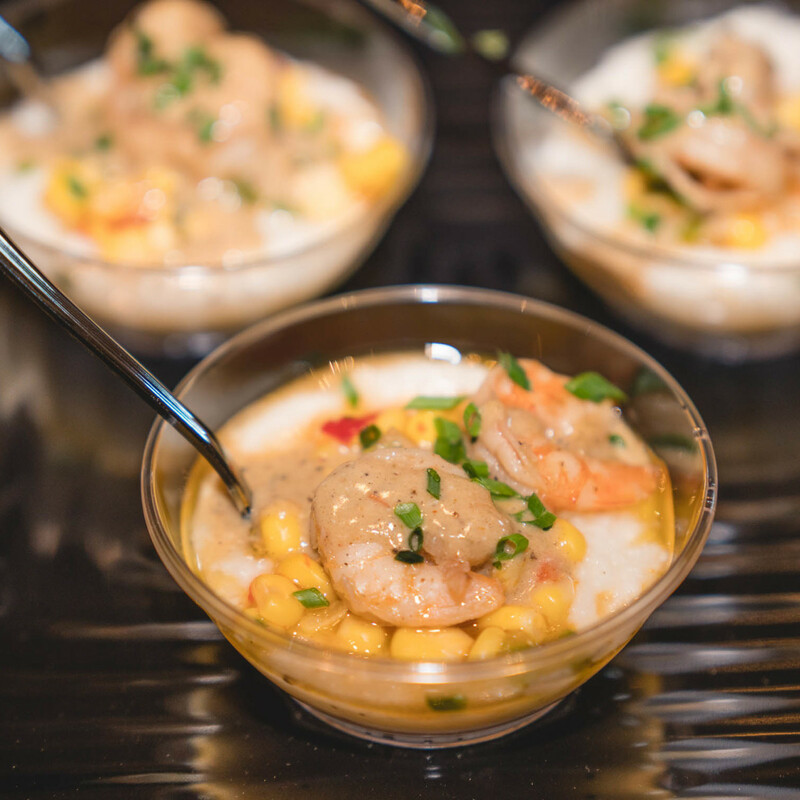 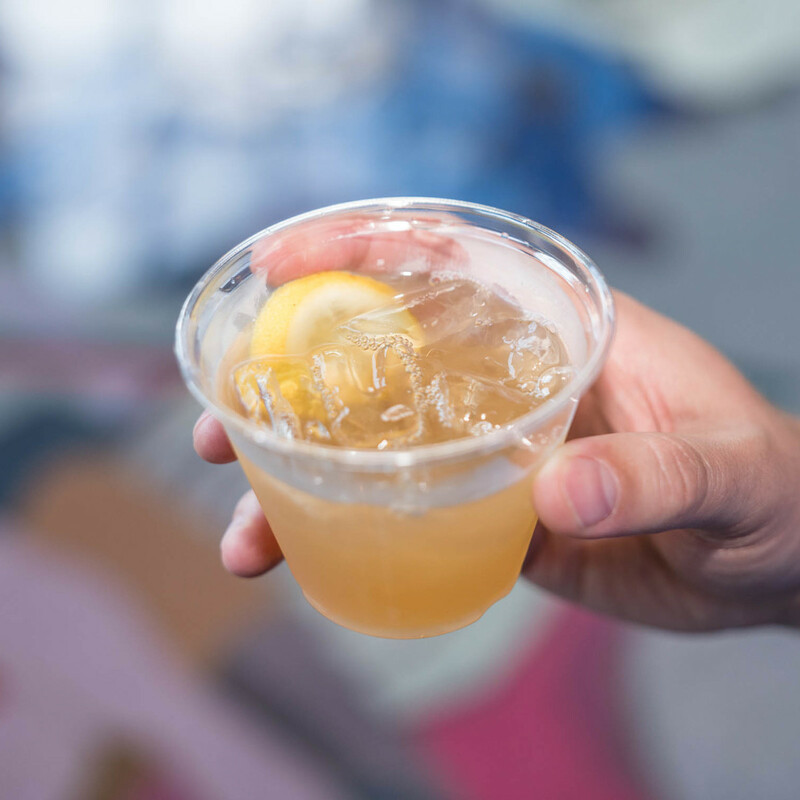 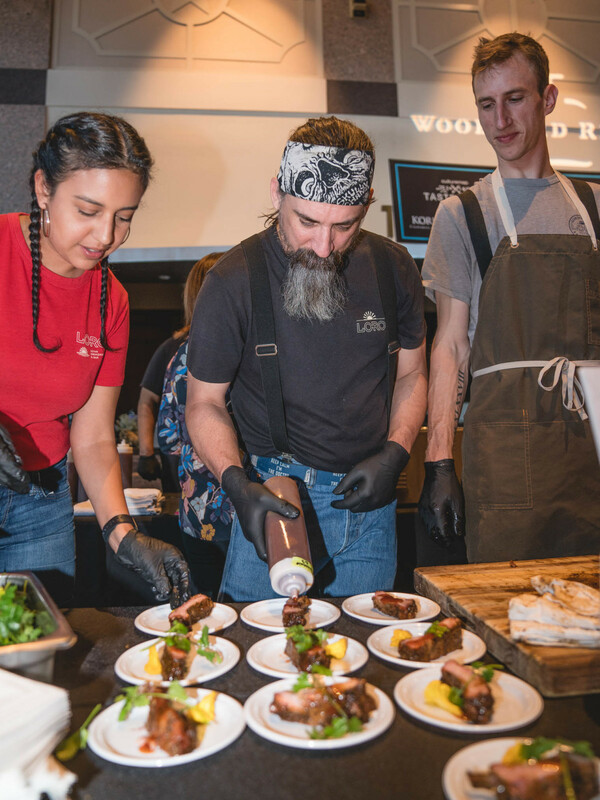 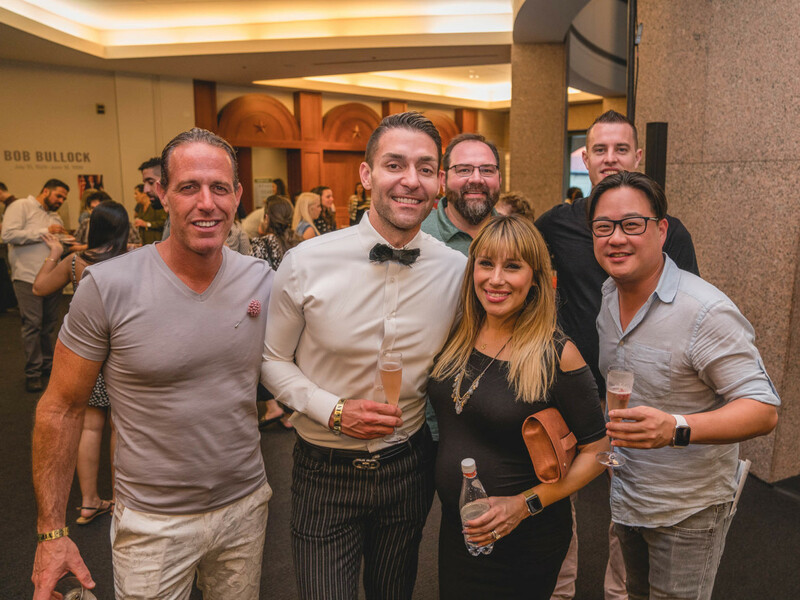 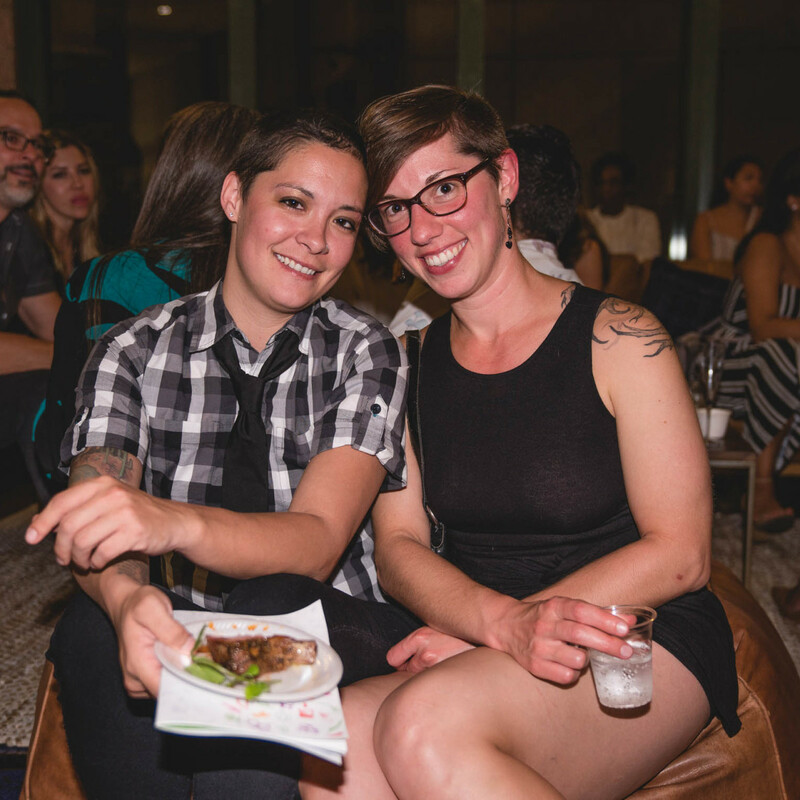 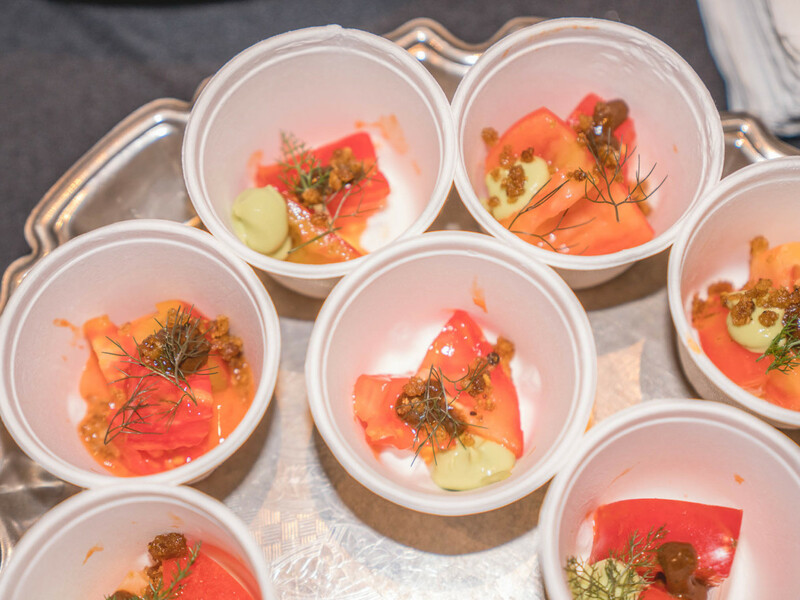 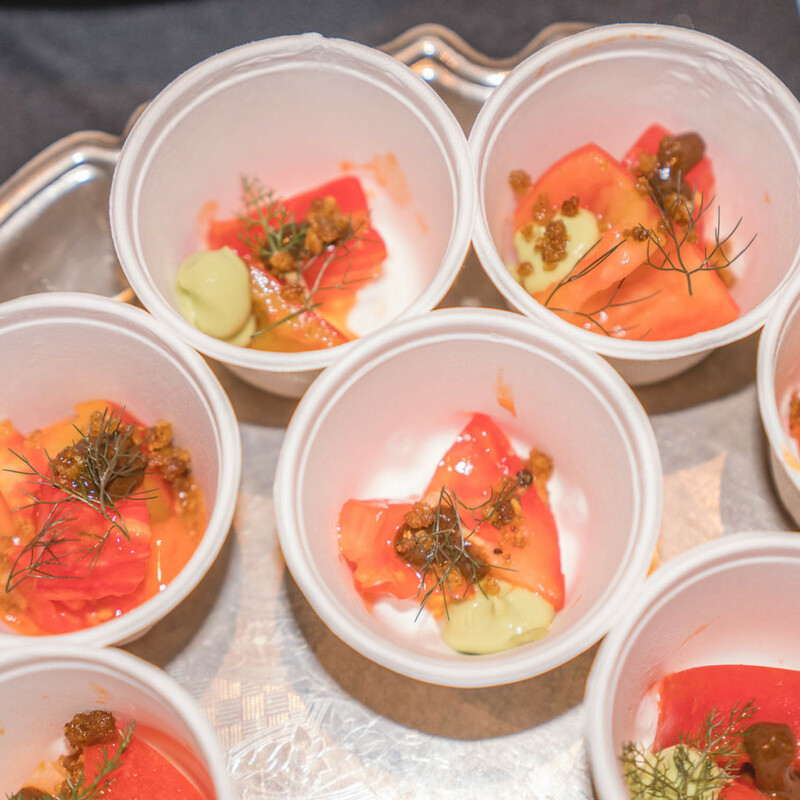 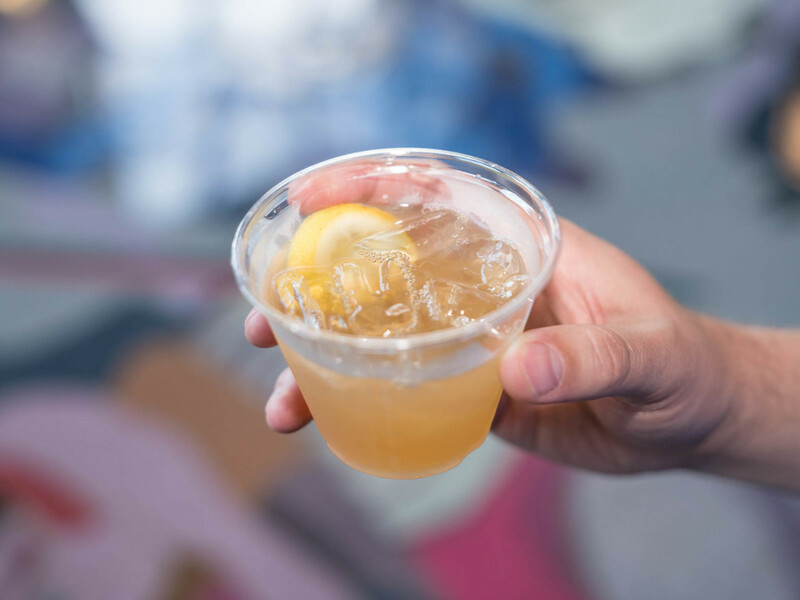 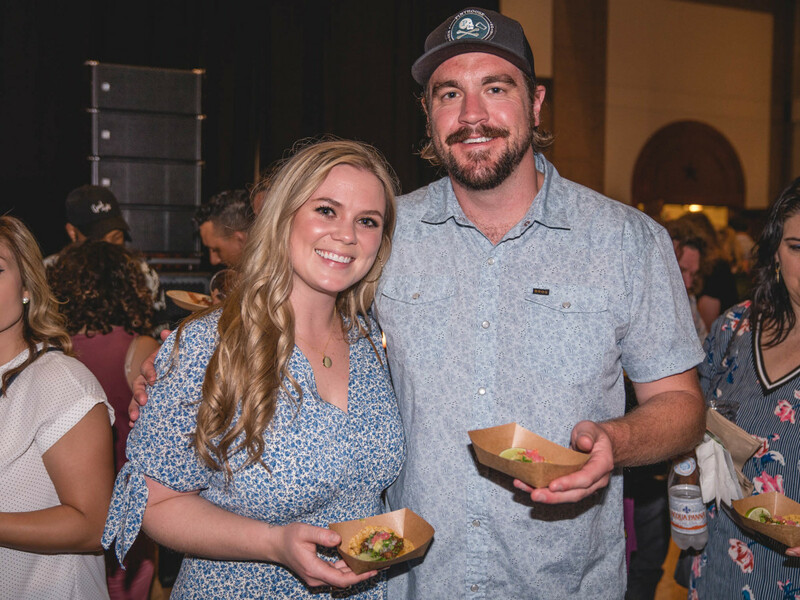 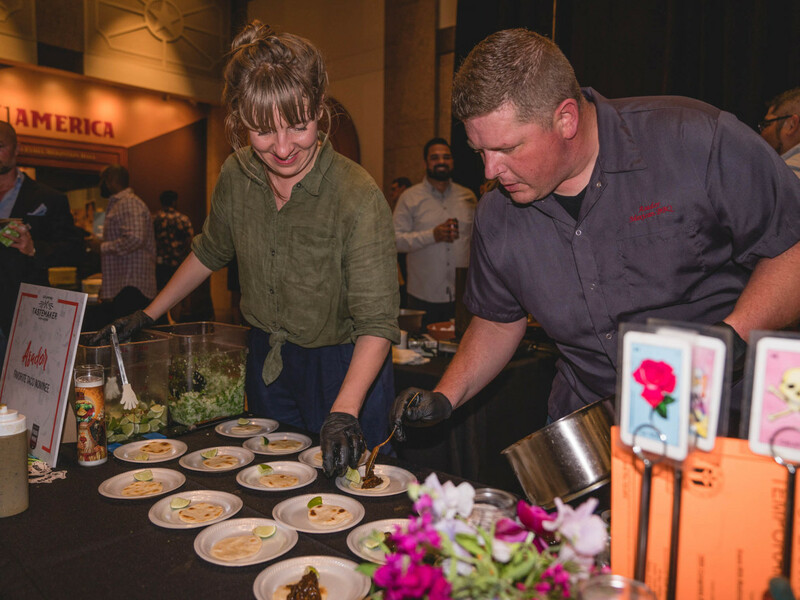 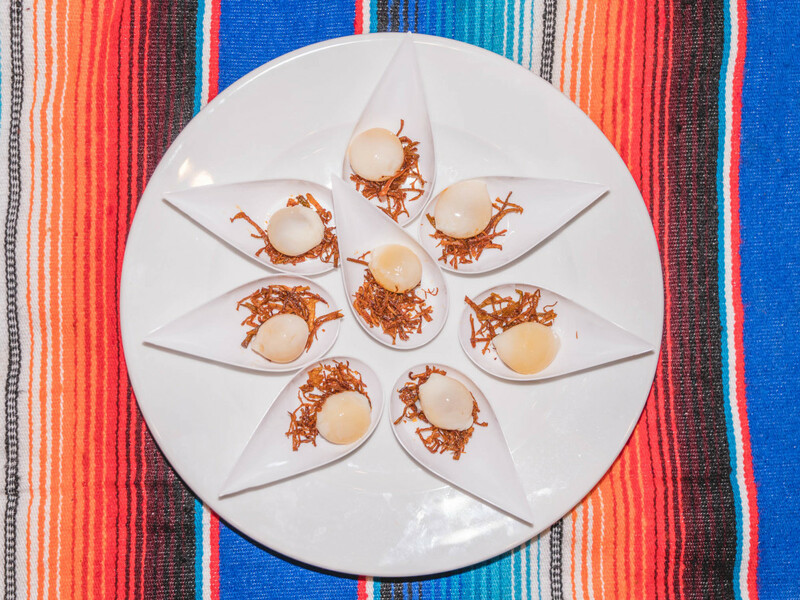 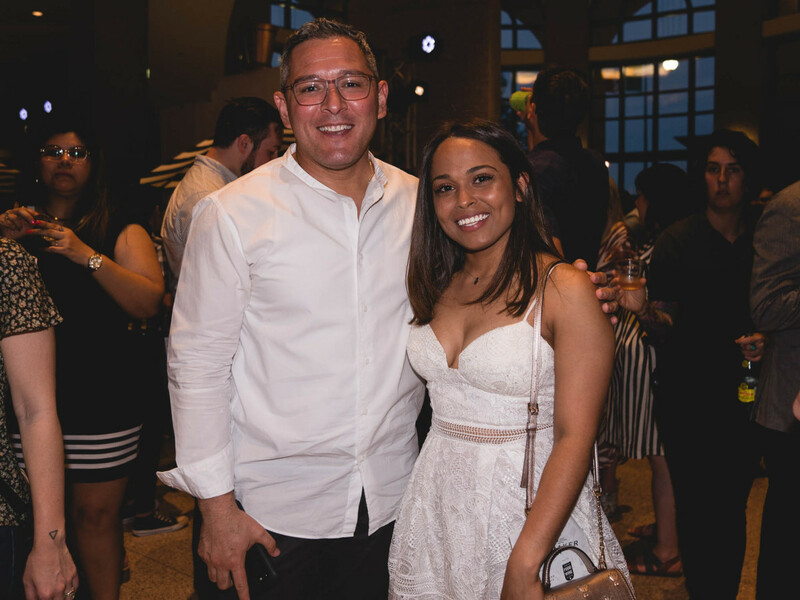 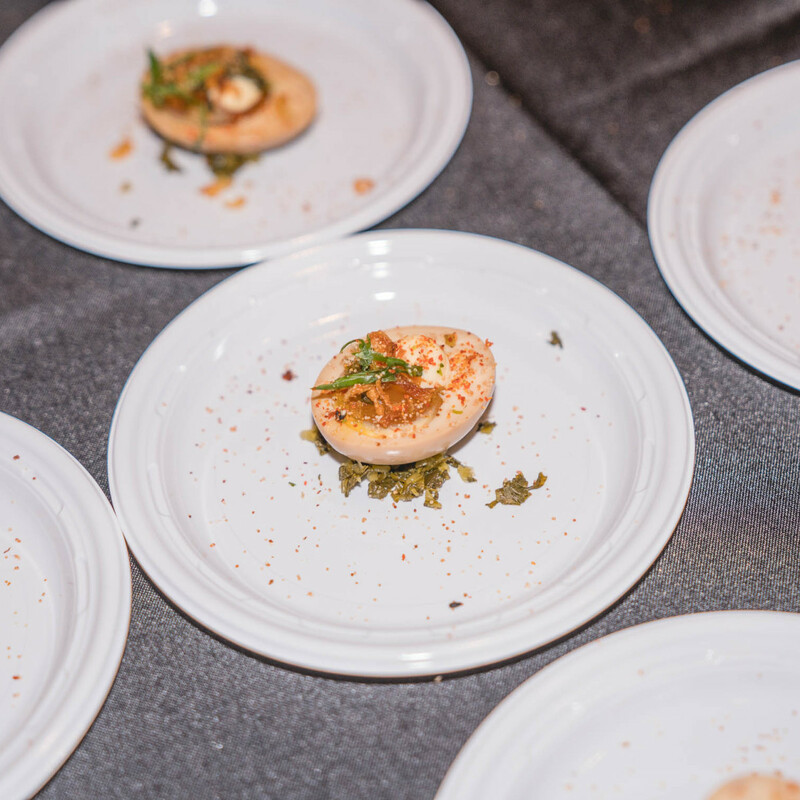 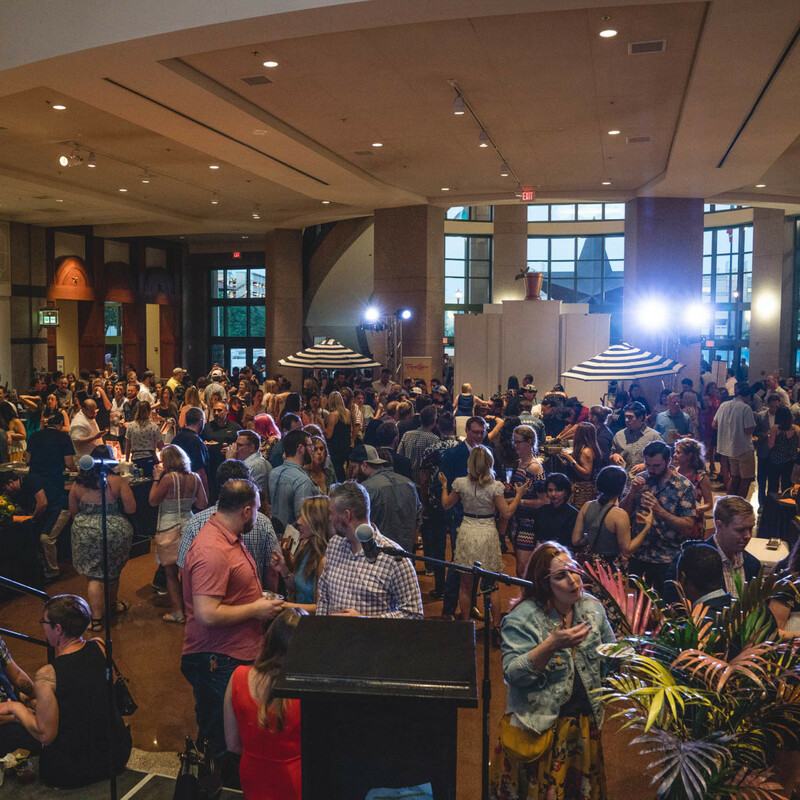 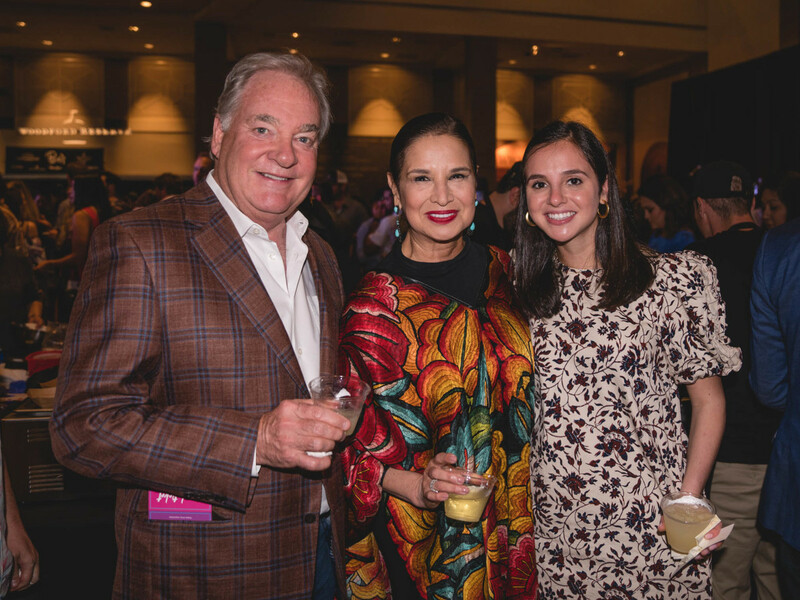 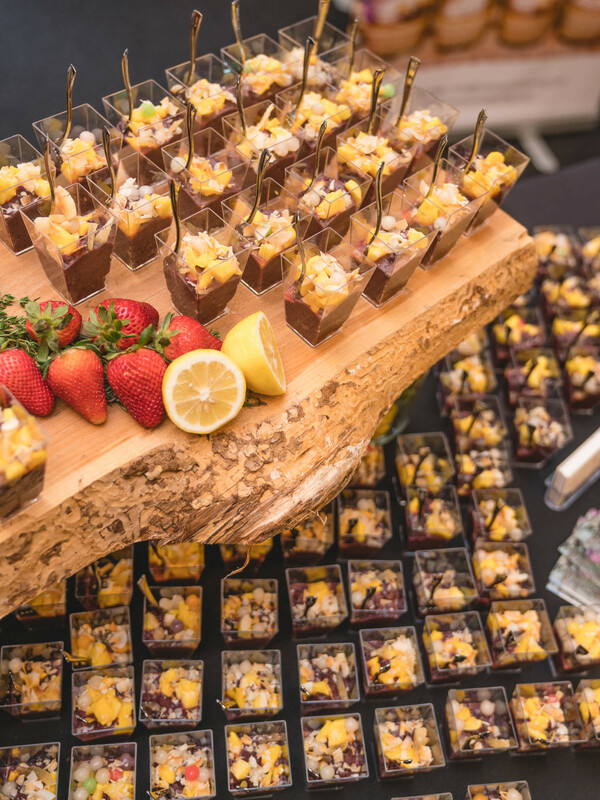 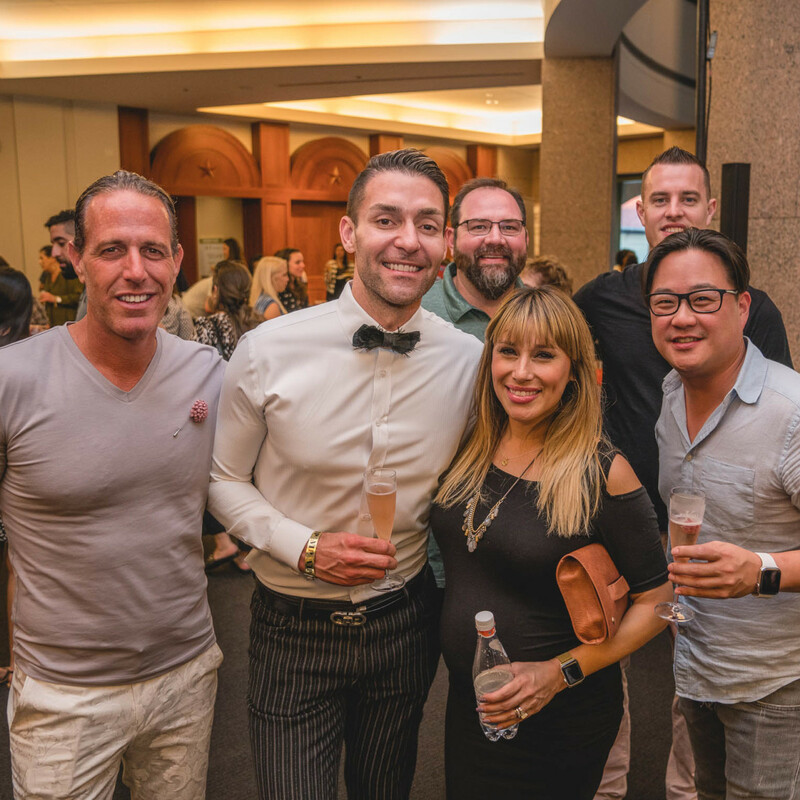 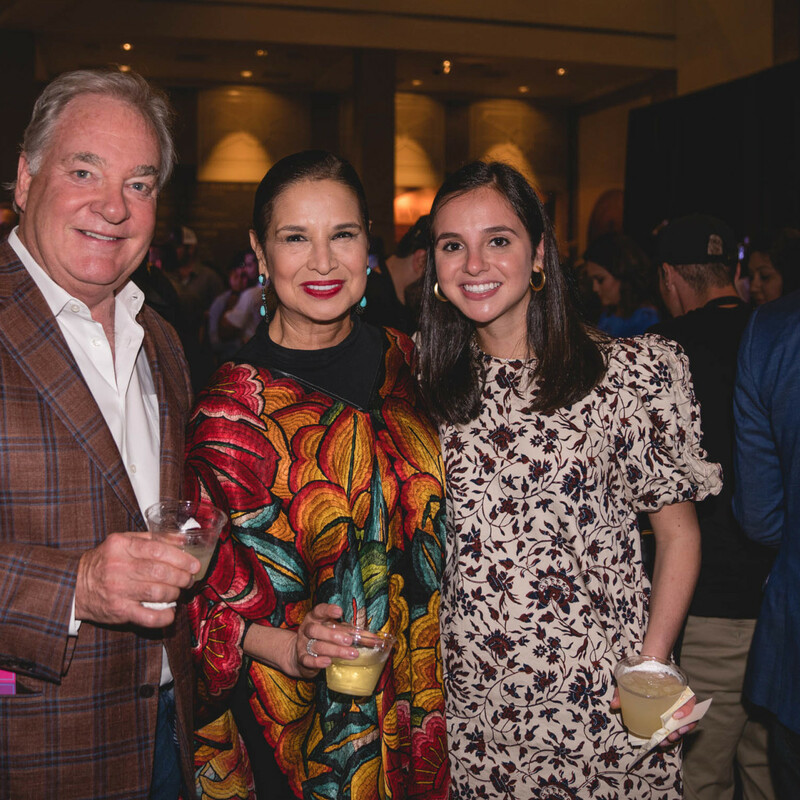 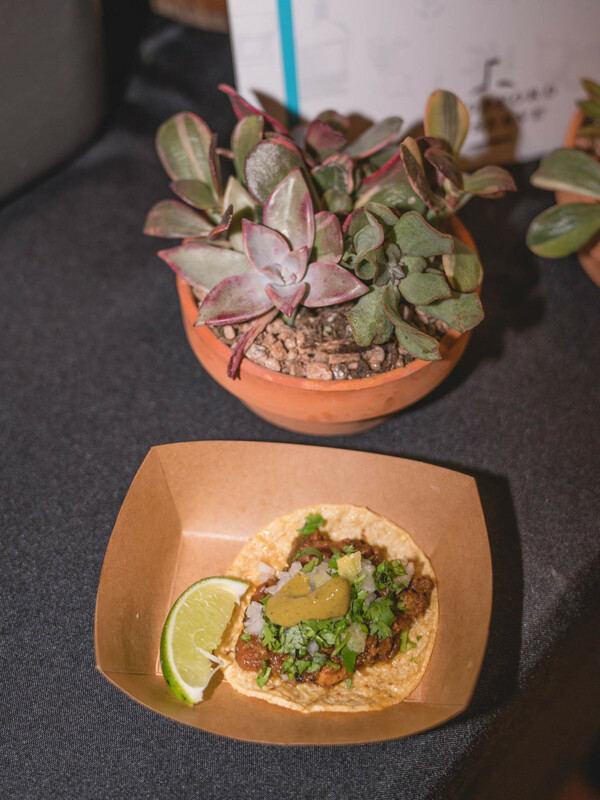 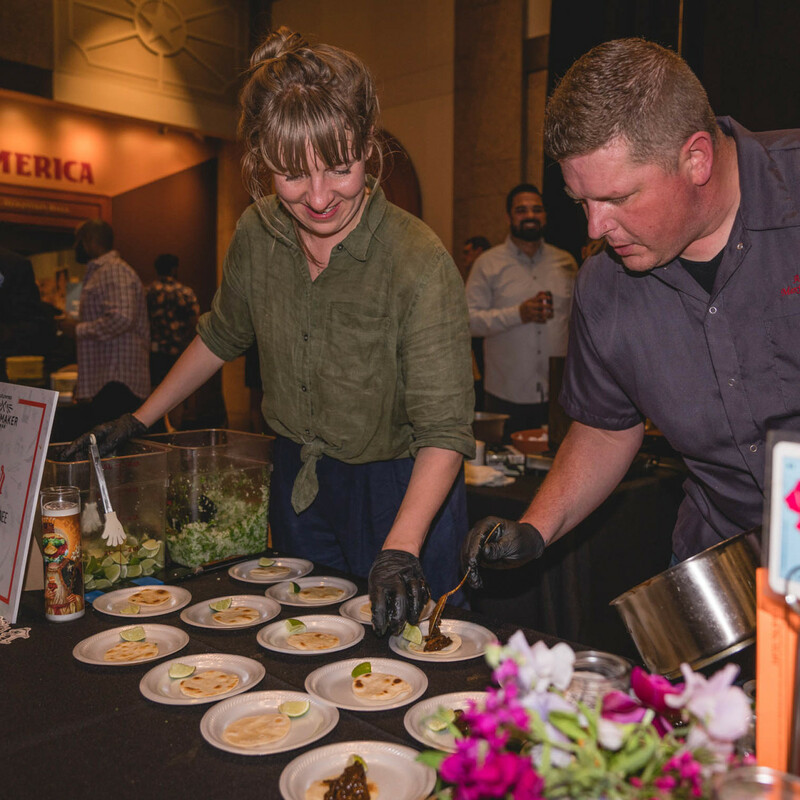 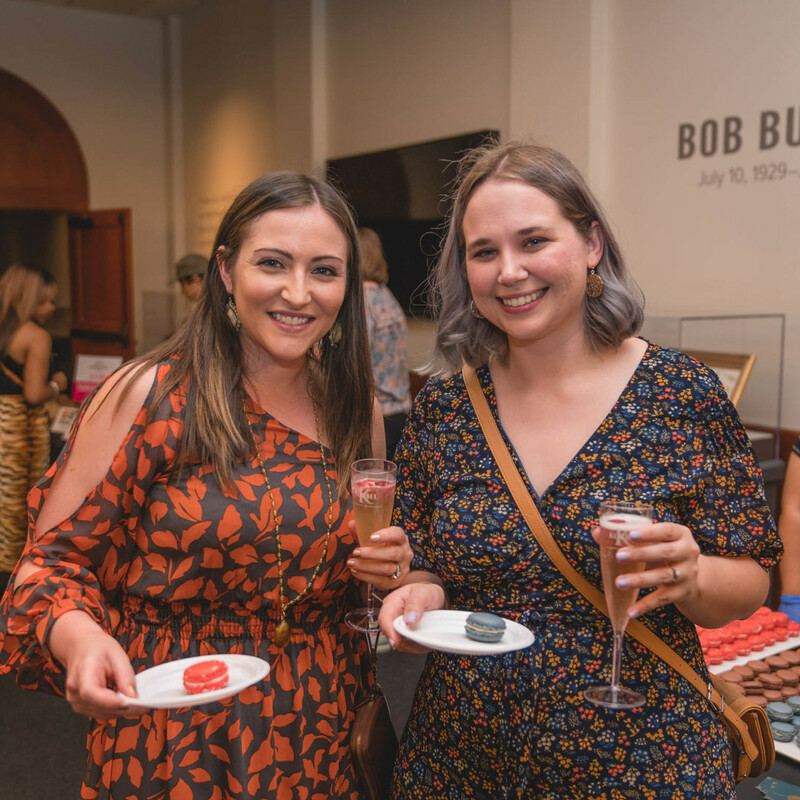 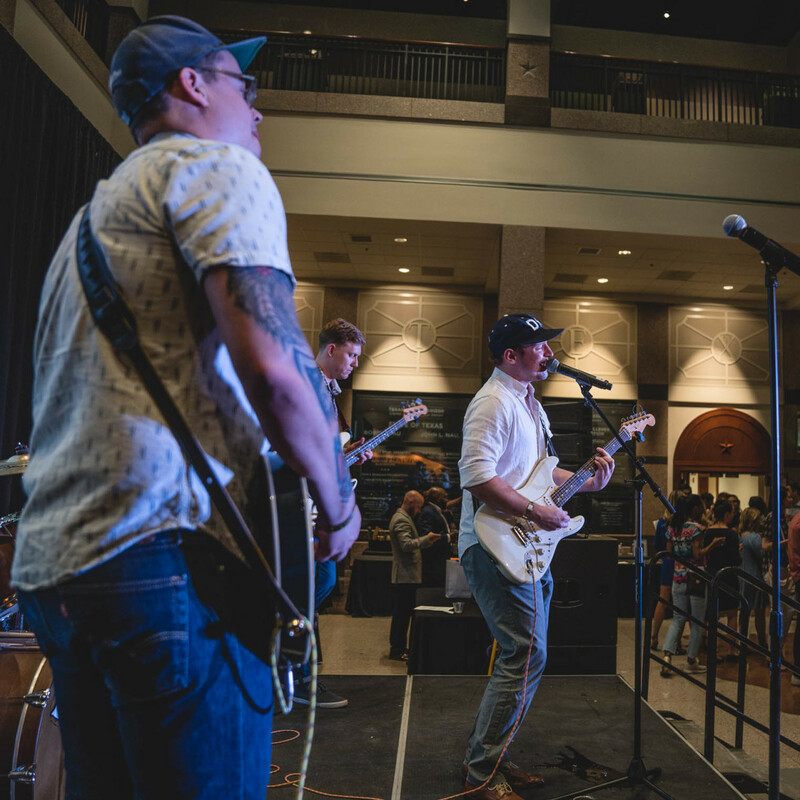 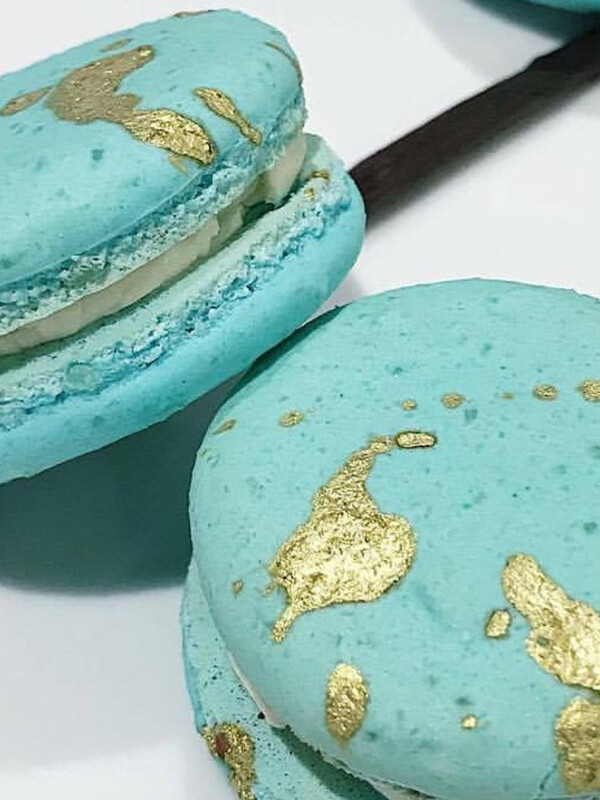 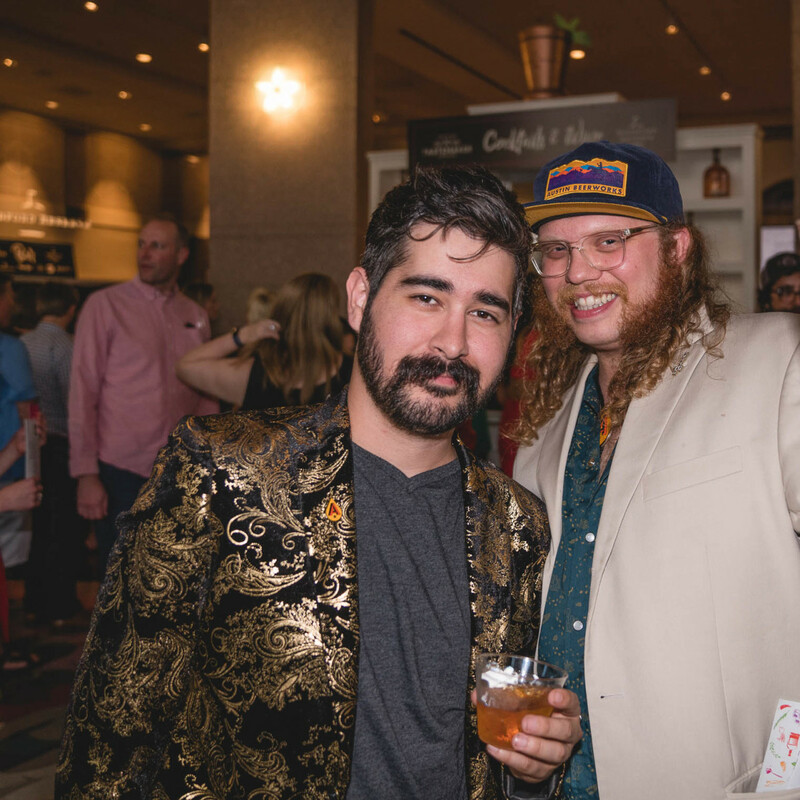 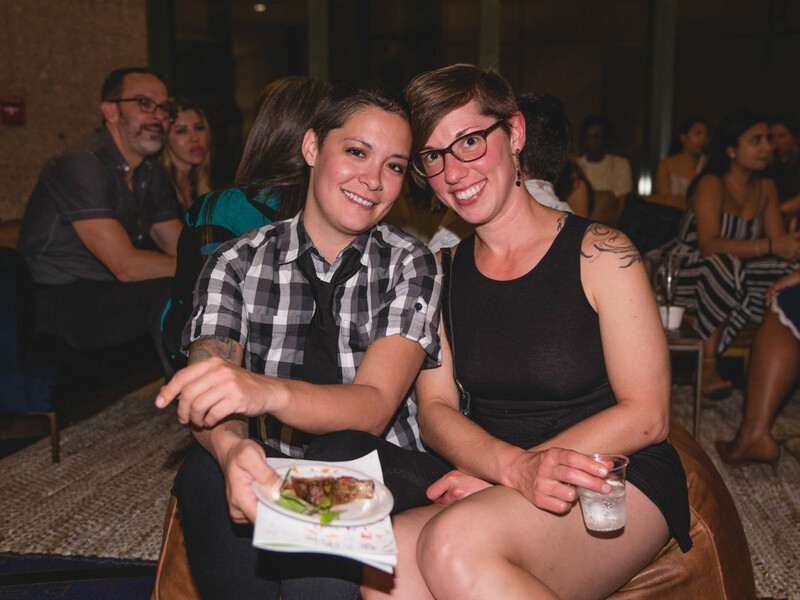 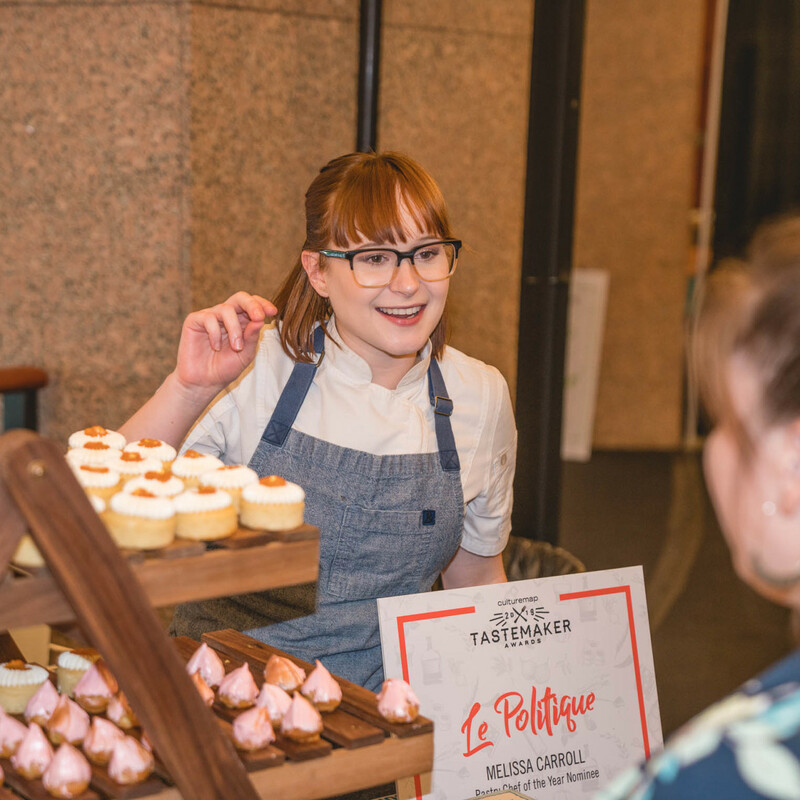 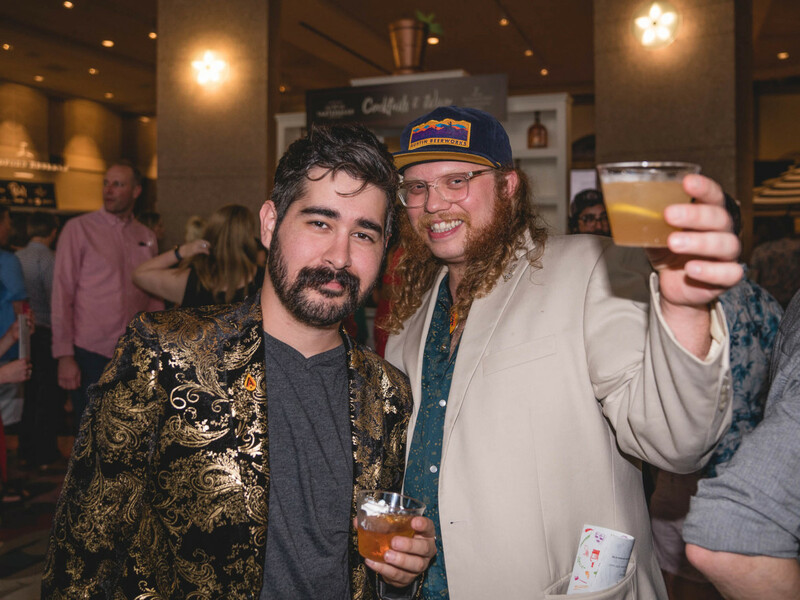 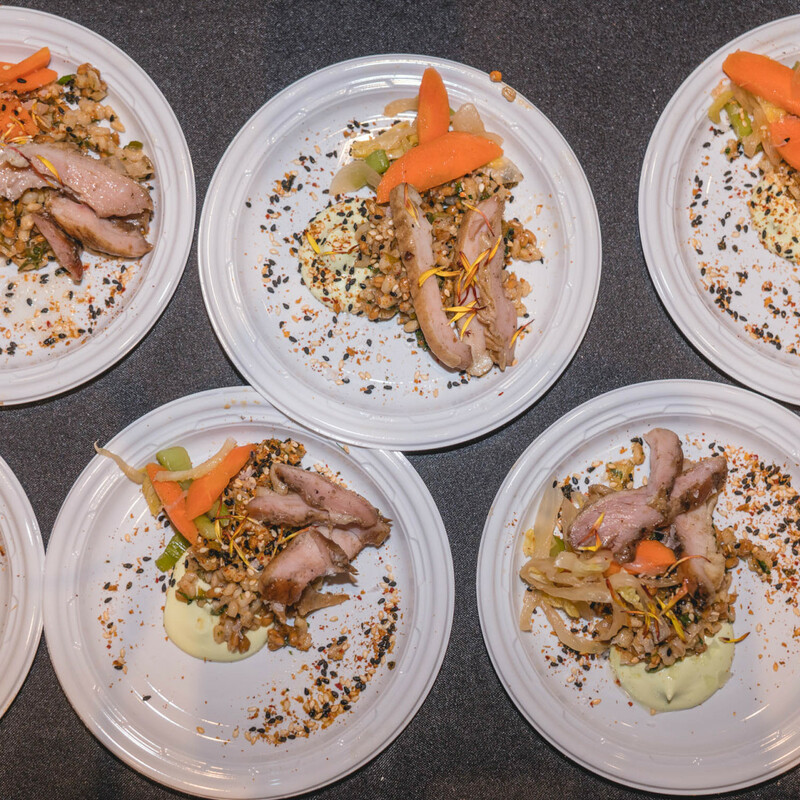 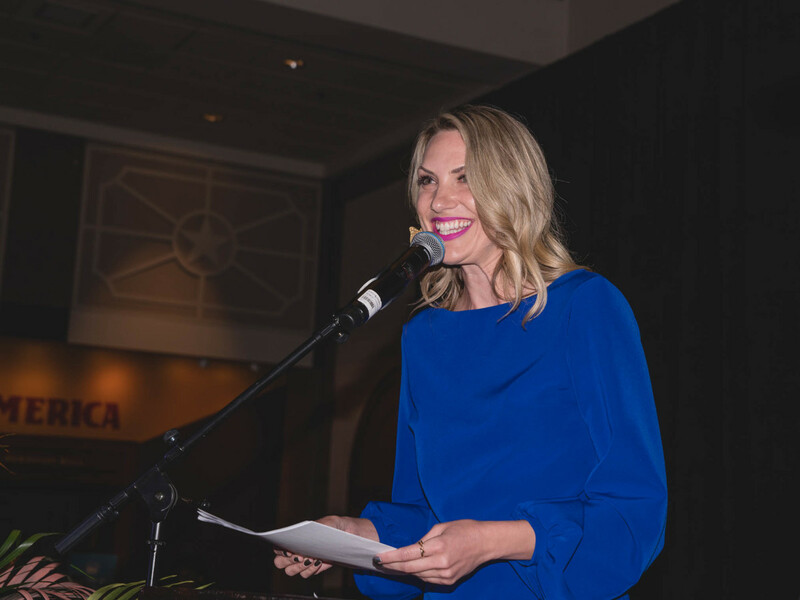 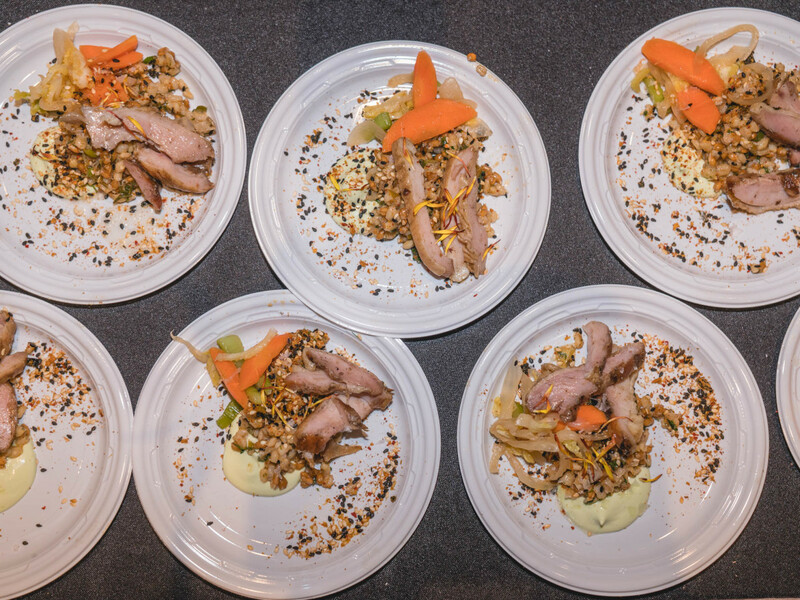 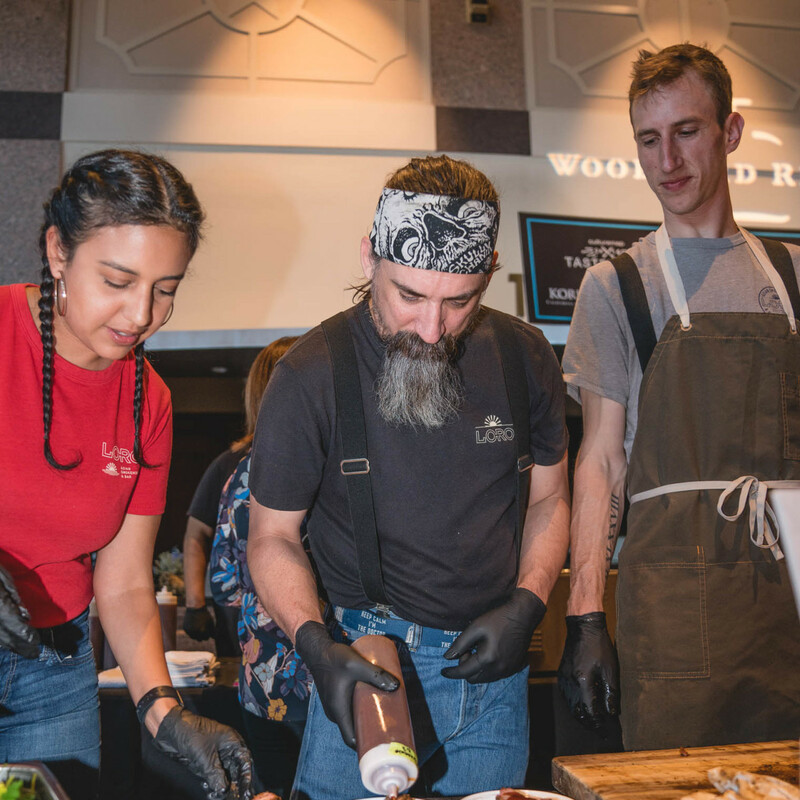 It's not often that a history museum plays host to Austin's best foodie fête, but that's exactly what happened on April 10, when CultureMap hosted our annual Tastemaker Awards ceremony at the Bob Bullock Texas State History Museum. 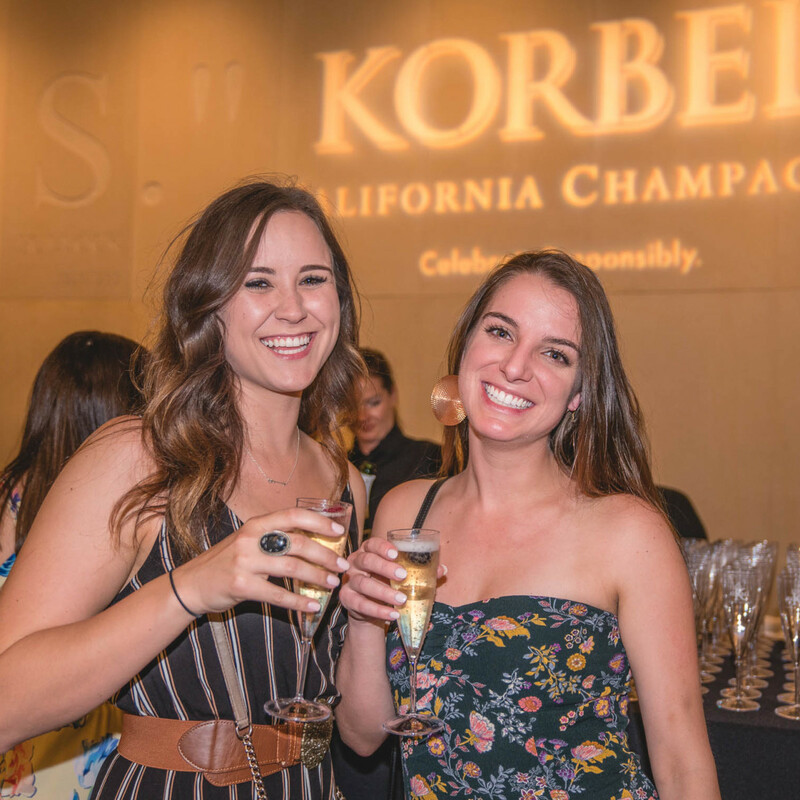 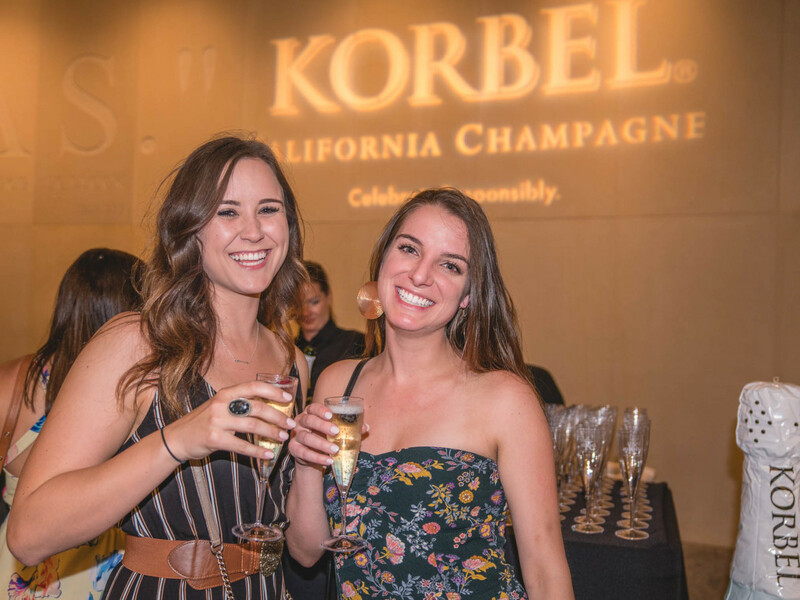 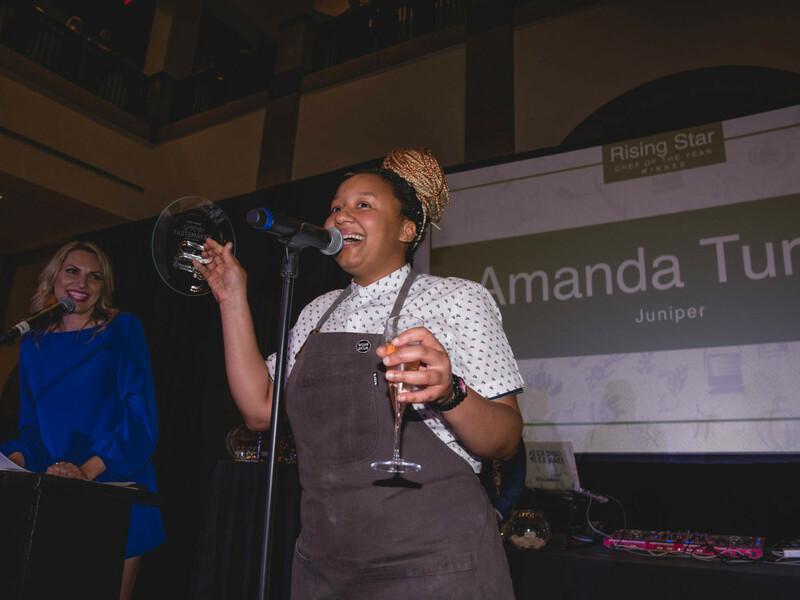 Before the doors opened, VIP guests toasted this year's nominees with custom cocktails while sampling specially curated bites from Juniper, home to Rising Star Chef Amanda Turner. 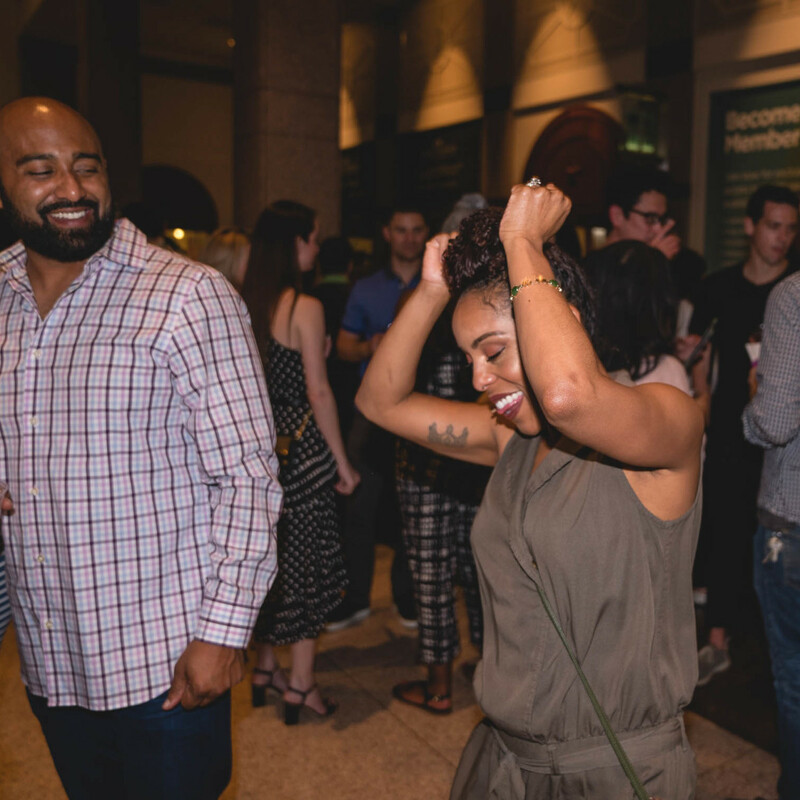 Once the party officially kicked off, the chic crowd entered through the museum's main rotunda, high-heels and cowboy boots alike clapping across the beautiful mosaic floor. 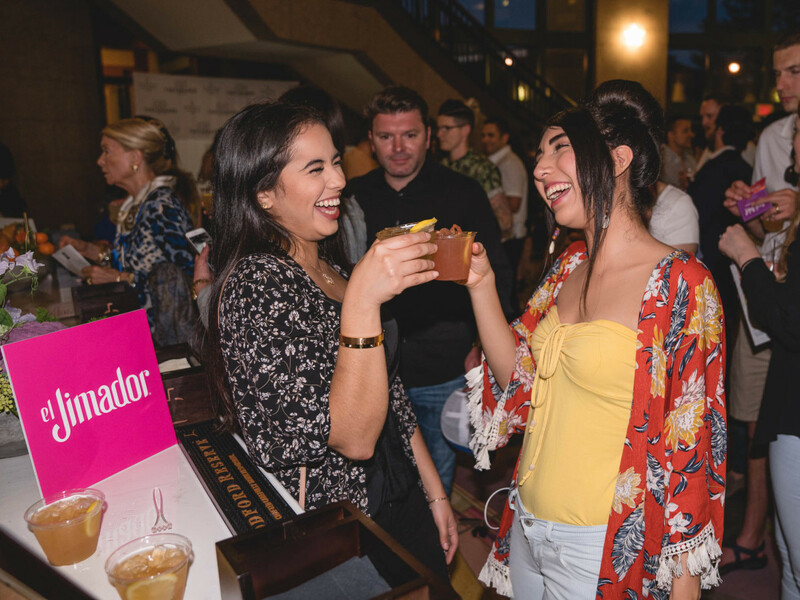 Like most years, the bar was the first stop for most guests, who sipped custom cocktails from Woodford Reserve, wine from Sonoma-Cutrer Winery, Korbel champagne, and brews from Deep Ellum Brewing and Alaskan Brewing Co.
Those looking for something with a little less kick enjoyed the ice-cold Topo Chico station (a must on the city's first 90-degree day) and Acqua Panna. 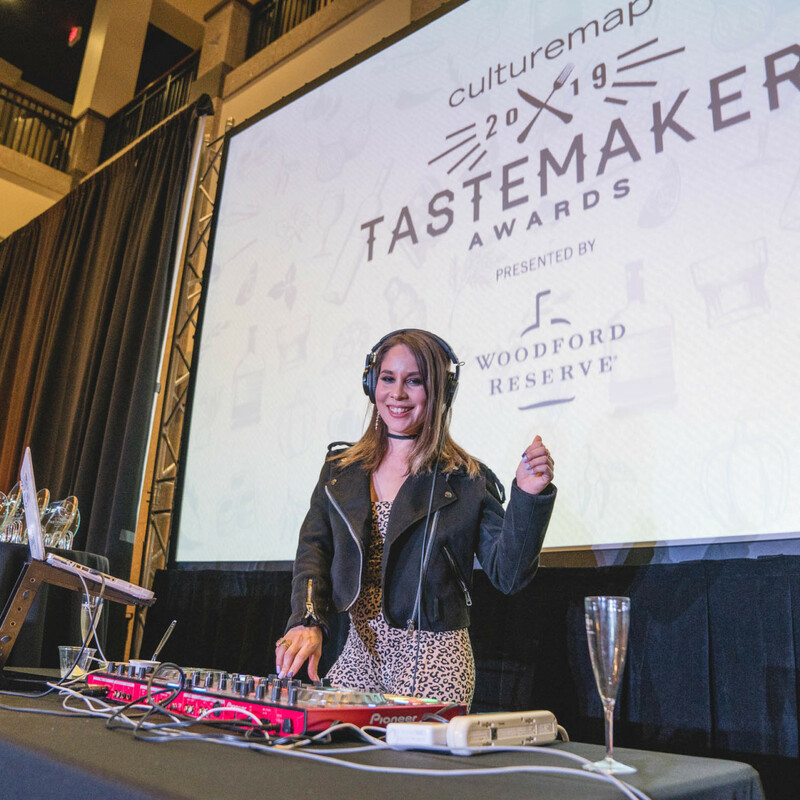 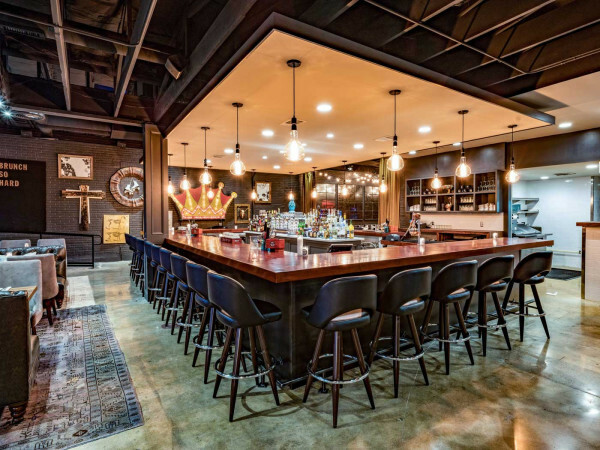 As DJ La Moon spun tunes, partygoers drifted into the main tasting room, a roundup of Austin and San Antonio's hottest restaurants. 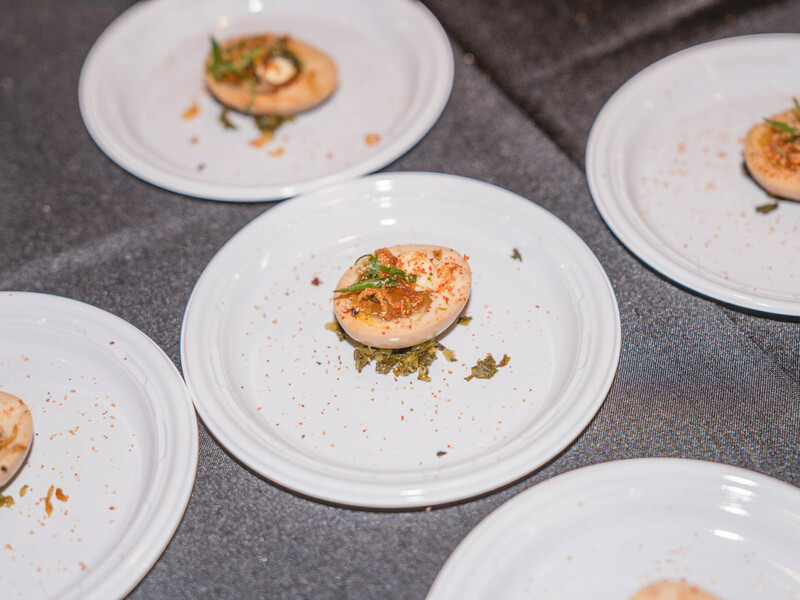 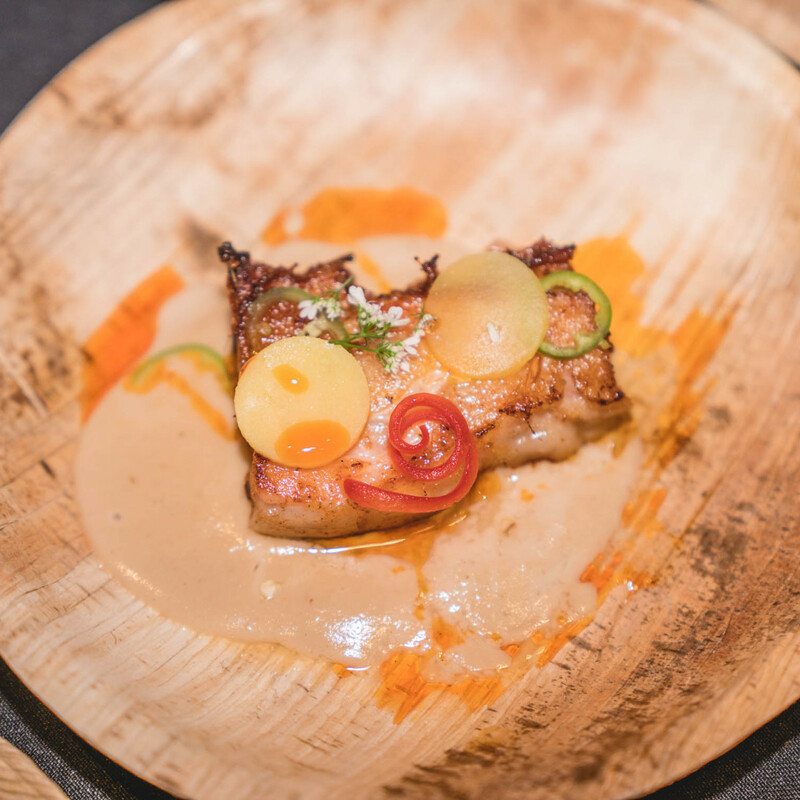 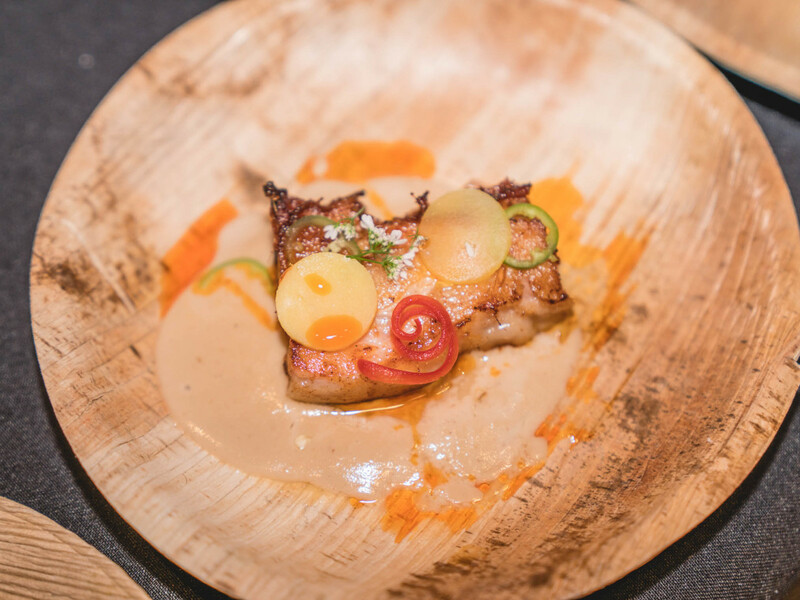 While Loro served up ribs, a must-have for meat-eating diners, Kemuri Tatsuya dished out their version of a deviled egg — a delightful Japanese twist on the American picnic staple. 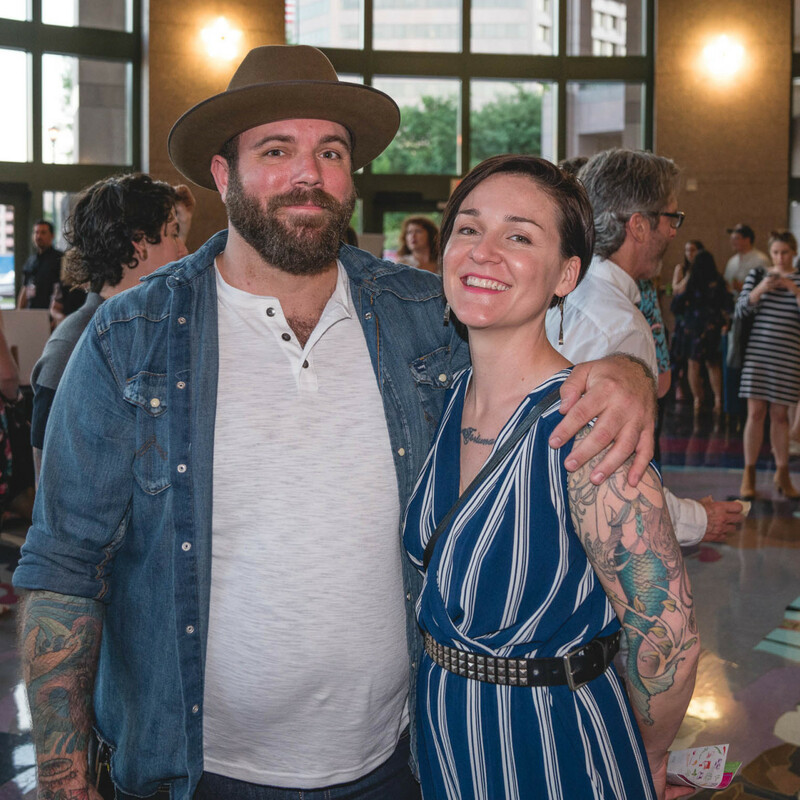 Representing San Antonio was The Jerk Shack, which ended up claiming the city's Best New Restaurant prize. 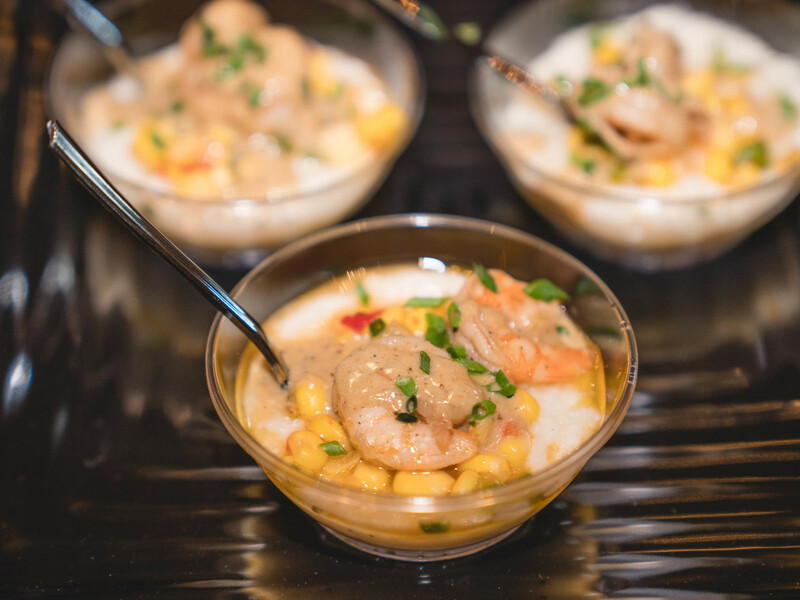 The Alamo City hot spot shelled out a spicy shrimp and grits dish that proved why the restaurant deserved the top prize. 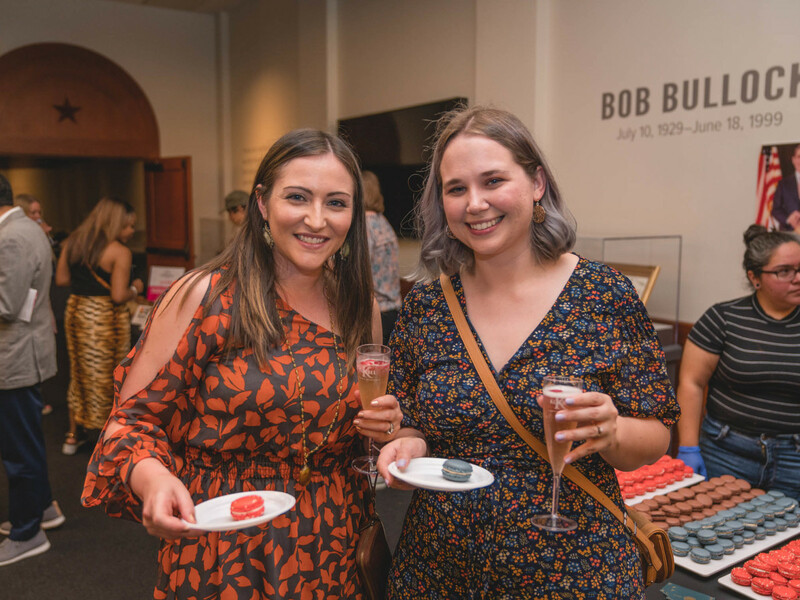 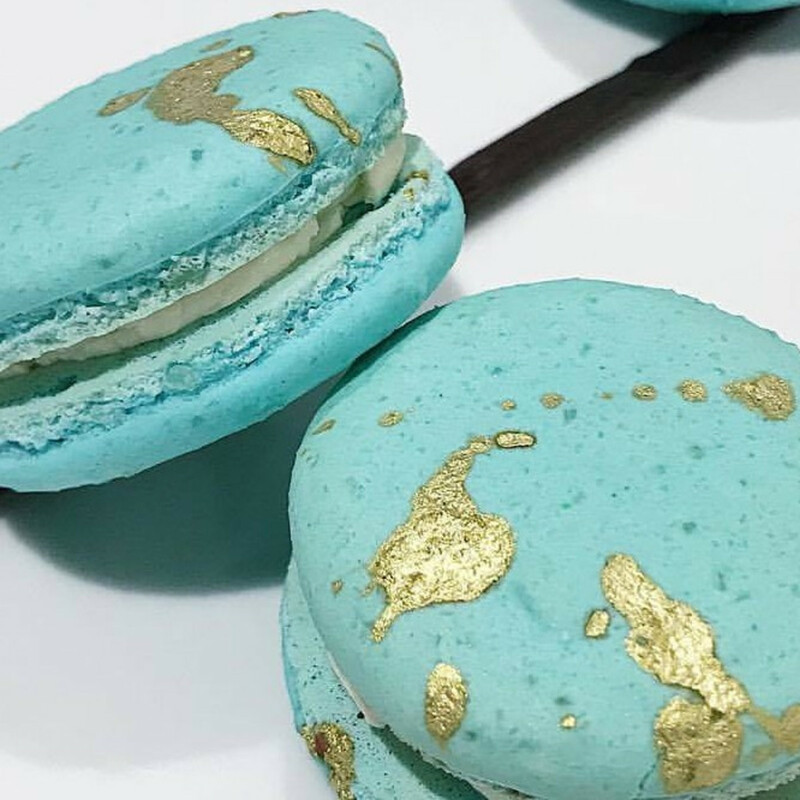 Upstairs at the dessert bar, diners were treated to sweet treats, including a scrumptious strawberry macaron from Bakery Lorraine and a to-die-for banana and Nutella cookie from newbie bakery ThroughBread. 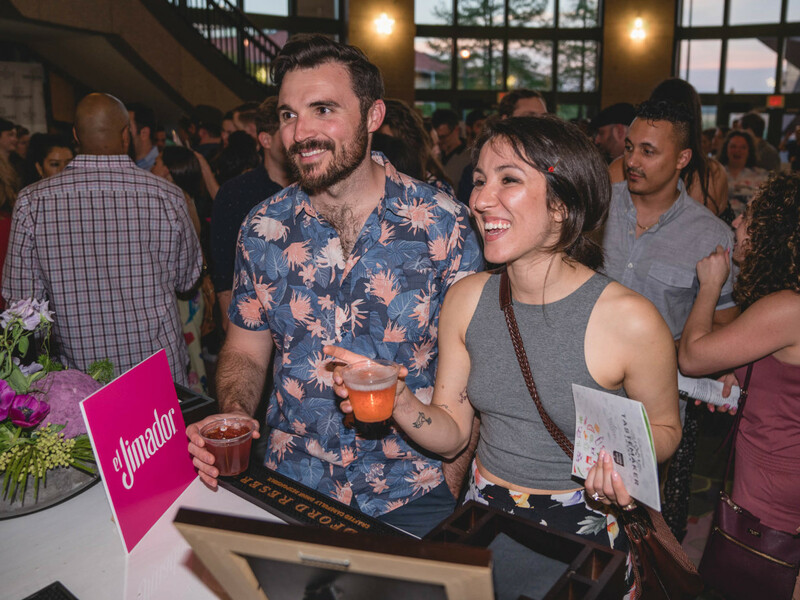 In total, more than two dozen restaurants took part in the festivities, including Asador, Ciclo and Live Oak, Dean's One Trick Pony, Discada, District Kitchen+Cocktails, Garrison at Fairmont Austin, Foreign & Domestic, Le Politique, Malibu Poke, Otoko, Pitchfork Pretty, Range, Rosemary's Catering, Rosewood, She's Not Here, Southerleigh Fine Food & Brewery, Sugarfina, Taco Deli, The Brewer's Table, The Switch Cafe, and VaqueroTaquero. 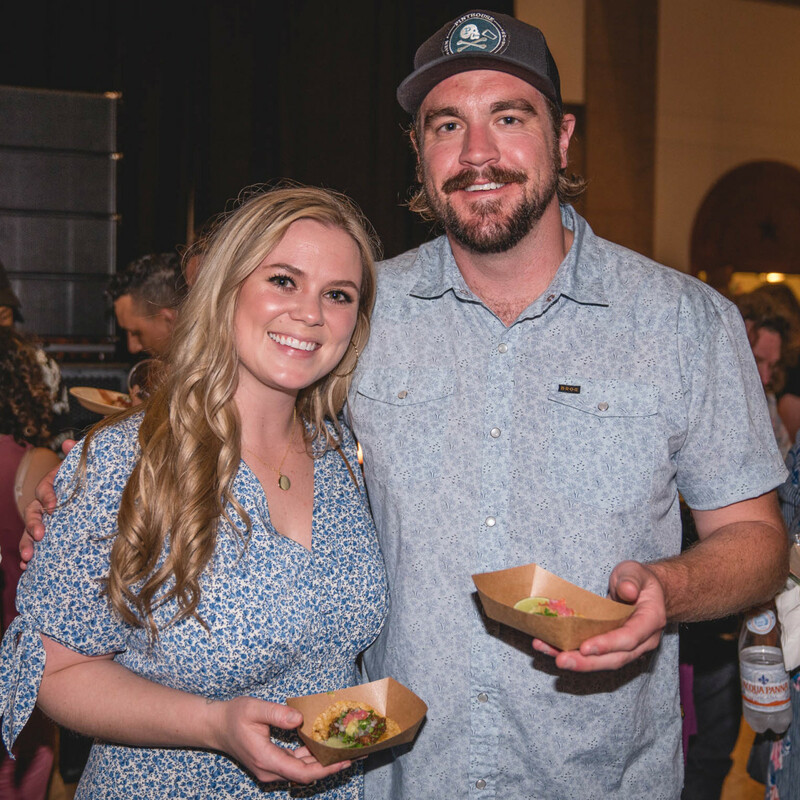 Together, these eateries perfectly illustrated the depth and breadth of Austin and San Antonio's rich culinary scenes. 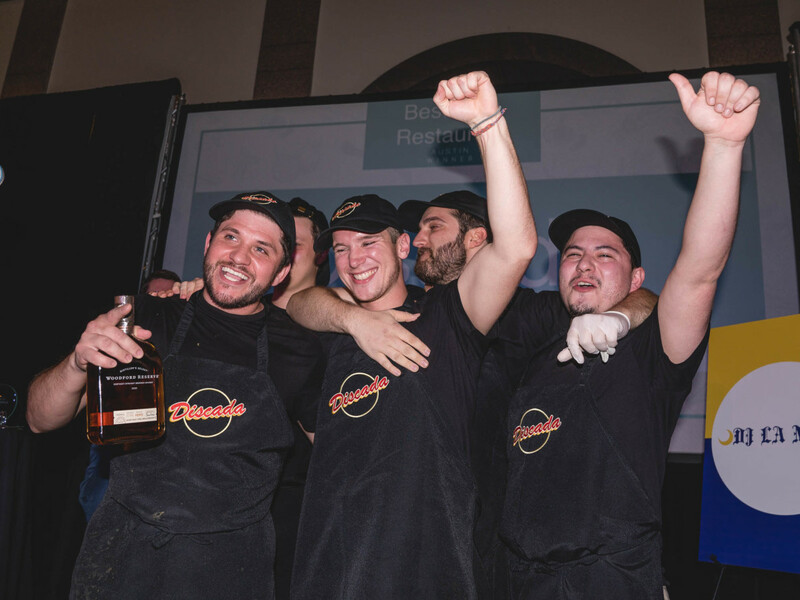 Sadly, not everyone could be a winner. 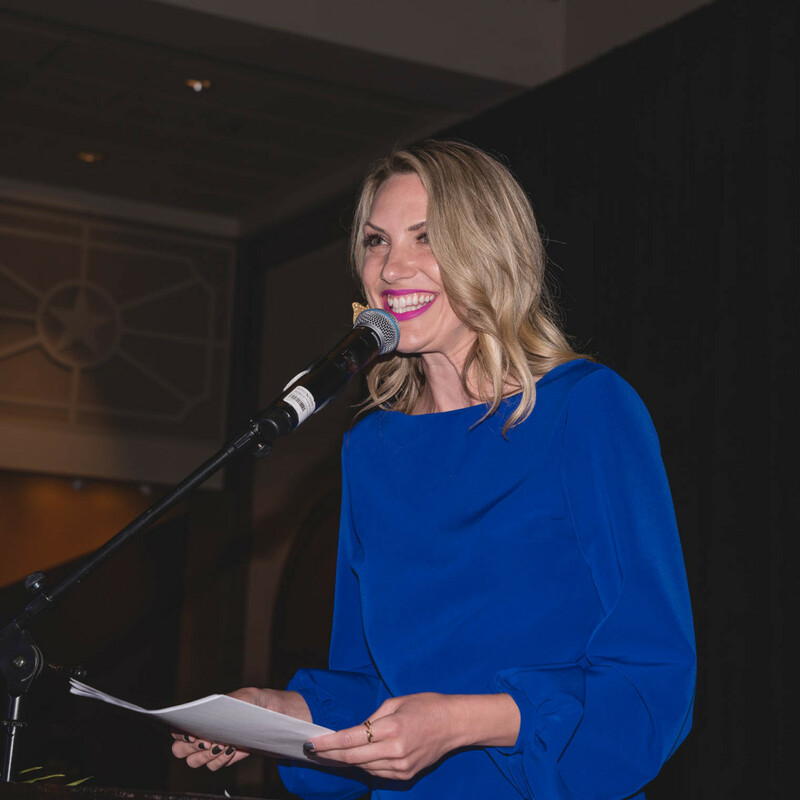 Emcee and CBS We Are Austin anchor Taylor Ellison led the crowd through a lightning-fast awards ceremony (arguably the best kind). 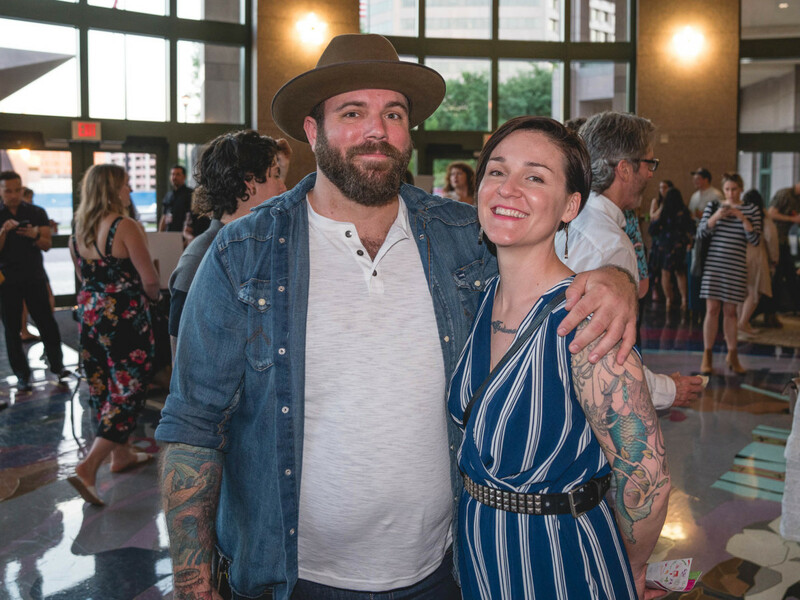 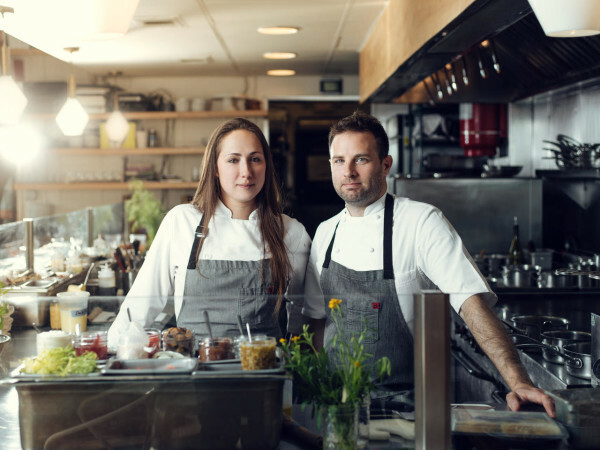 Chef Michael Fojtasek and his restaurant, Olamaie, took home the night's biggest awards — Austin Chef of Year and Restaurant of the Year, respectively. 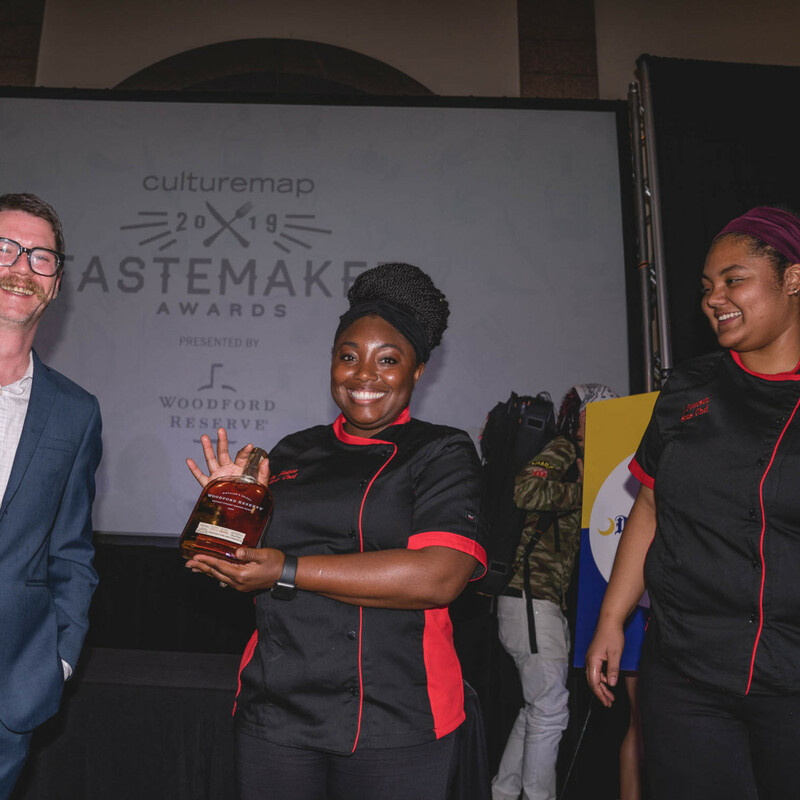 Accepting on his behalf was Erin Ashford, Olamaie's bar manager and last year's winner for Bartender of the Year. 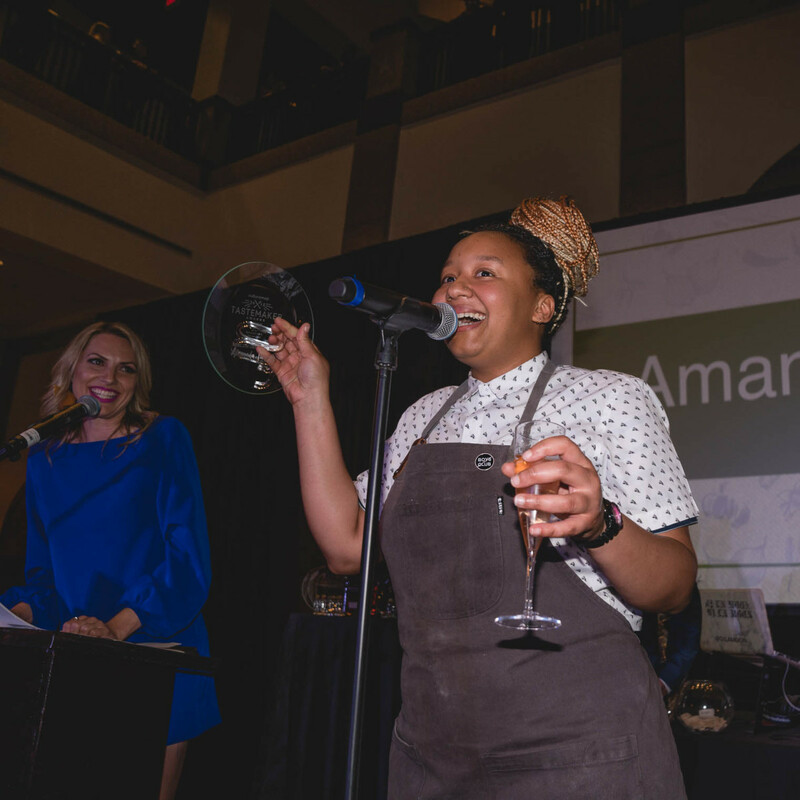 And speaking of Bartender of the Year, the 2019 winner, Caer Ferguson, had the most memorable award acceptance of the night, dropping her glass plate. 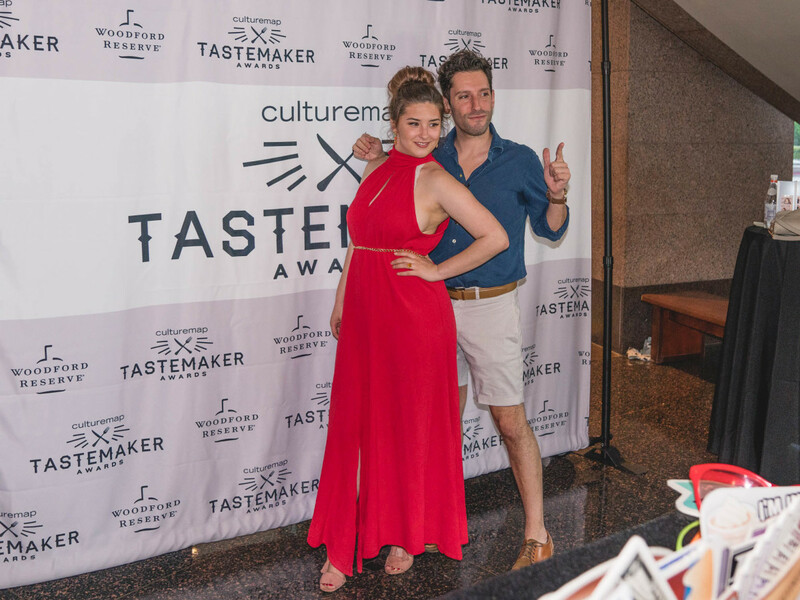 She was fine, her lively fellow nominees were delighted, and the Tastemaker Awards had yet another memorable evening. 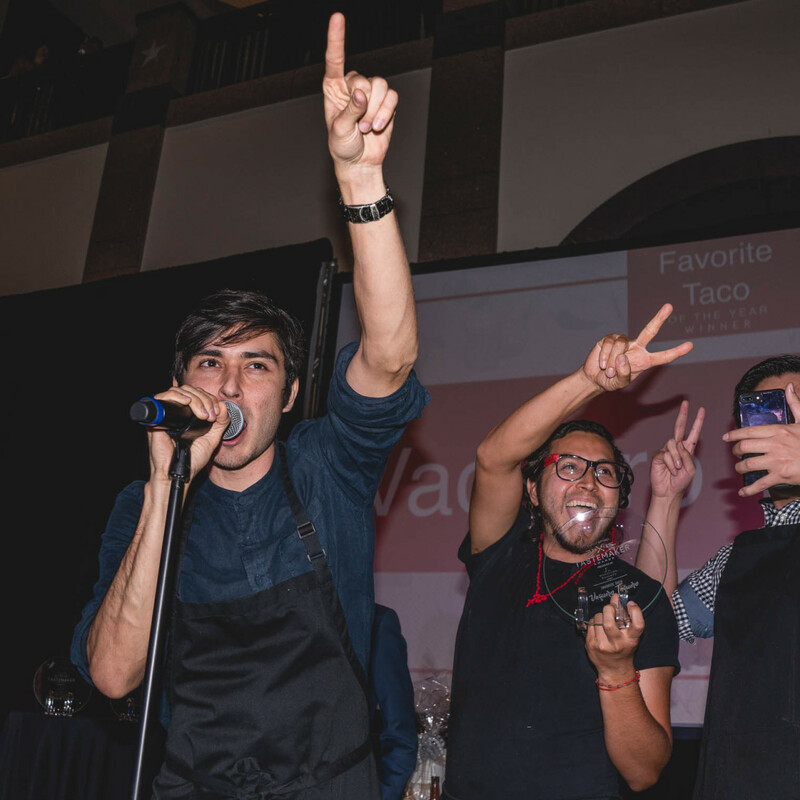 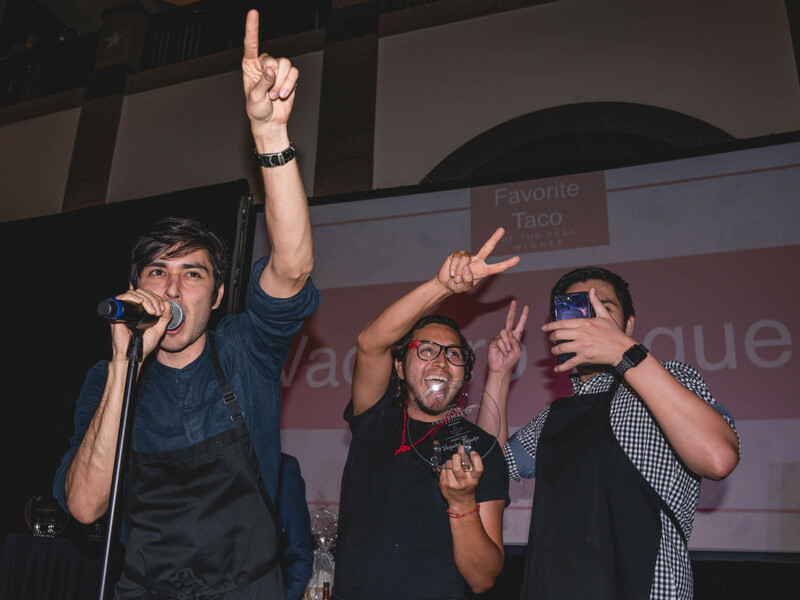 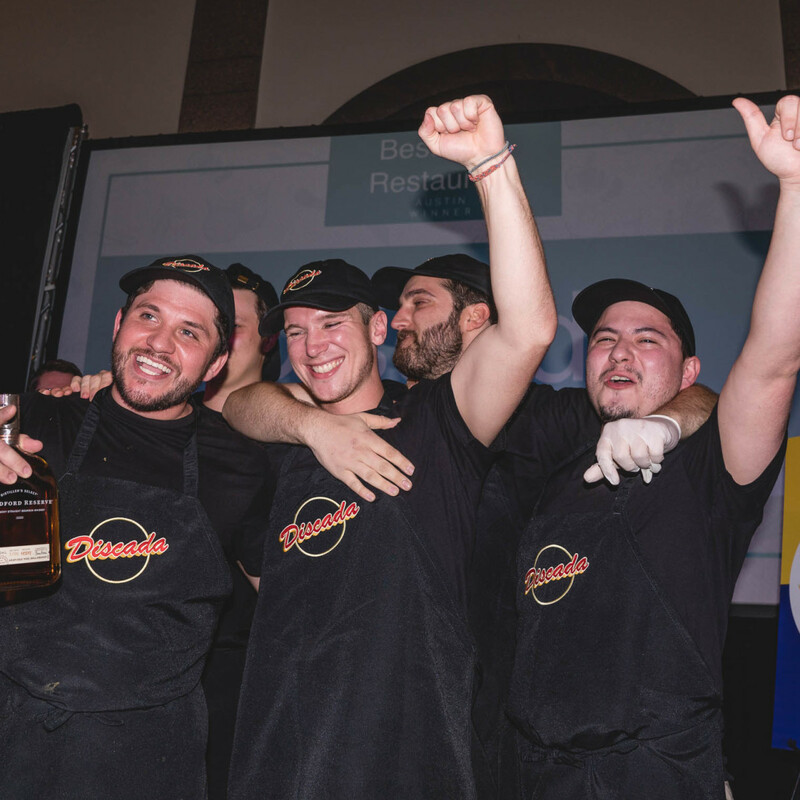 San Antonio's all-star duo Diego Galicia and Rico Torres claimed the crown for San Antonio Chef(s) of the Year, making their way through a rollicking crowd to accept their award. 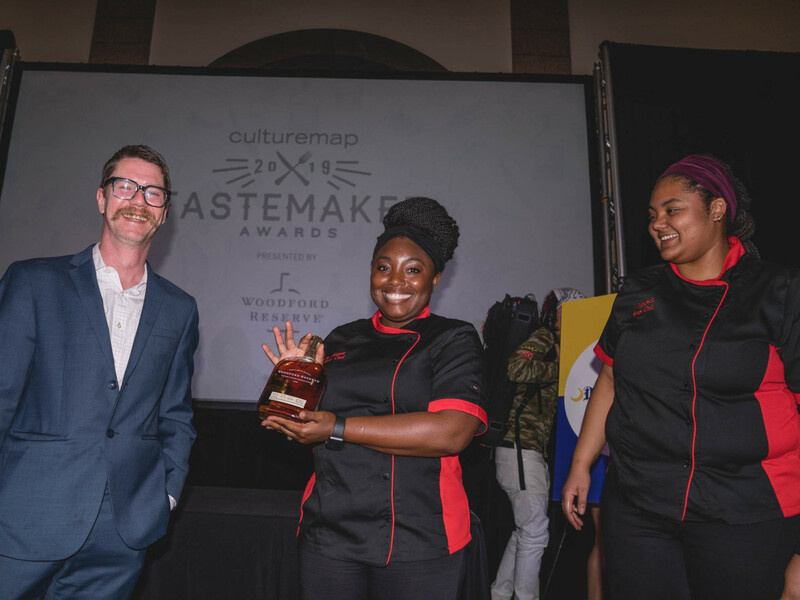 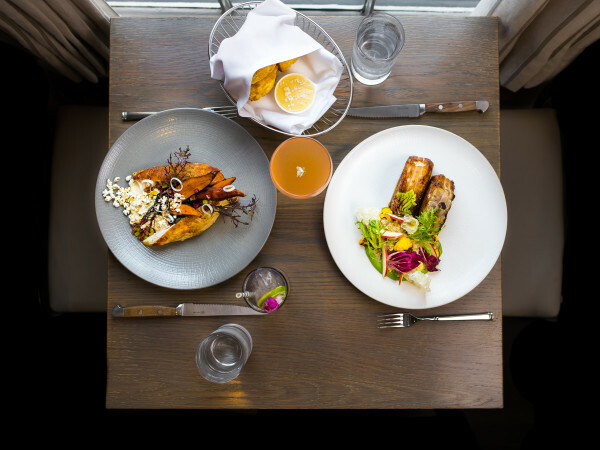 Meanwhile, The Cookhouse, chef Pieter Sypesteyn's ode to all things Creole, earned the title of San Antonio Restaurant of the Year. 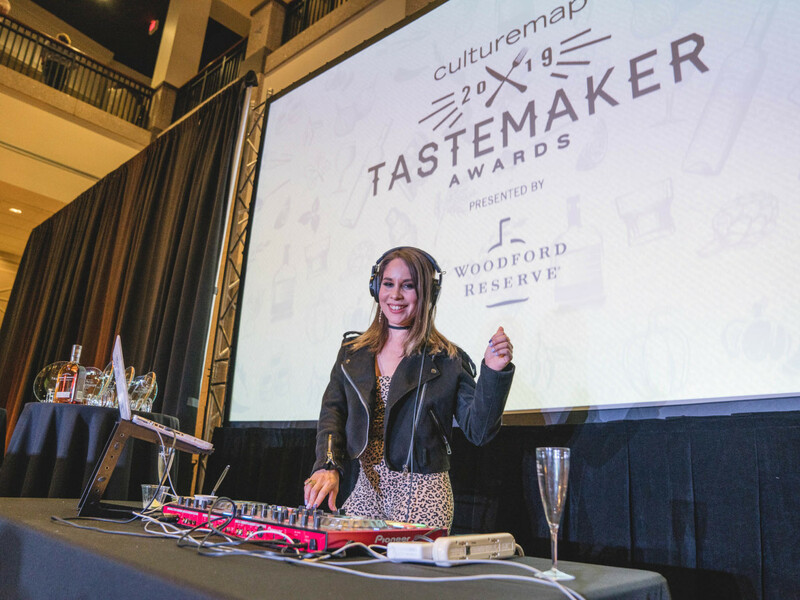 Joining CultureMap in a collective toast to the winners were local luminaries and restaurant industry bigwigs like Kelly Stocker, Moshmee Kalamkar, Rachael Duffy, Tavel Bristol-Joseph, Jade Reyes, Rose Duran, Matthew Bolick, Valentina Salazar, Lindsey LeRoy and Evan LeRoy, Chadwick Leger and Rachelle Fox, Priscilla Rodriguez, Darlene Fiske, Jaden Felix, Jamie Sosa, Patrick Ferrell and Danica Ferrell, Mary Foulse, Taylor Morrissey, and Grant Weckerly.